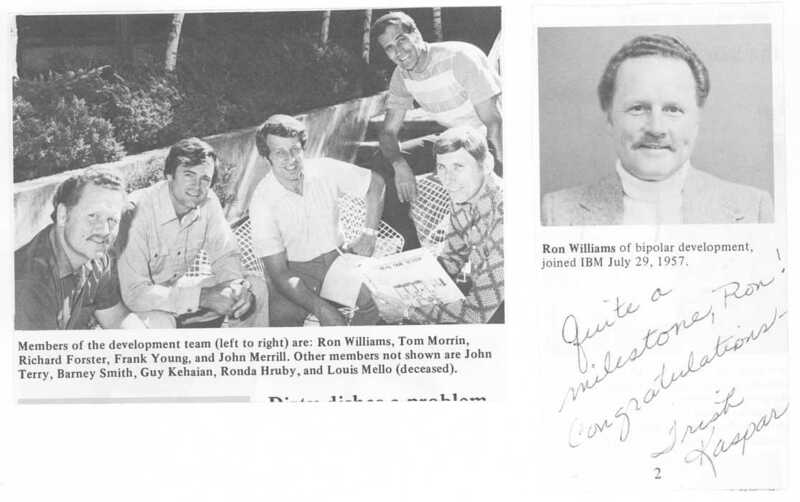 In 1958 I joined the IBM 1401 development team, working under Russ Rowley and later F.O. 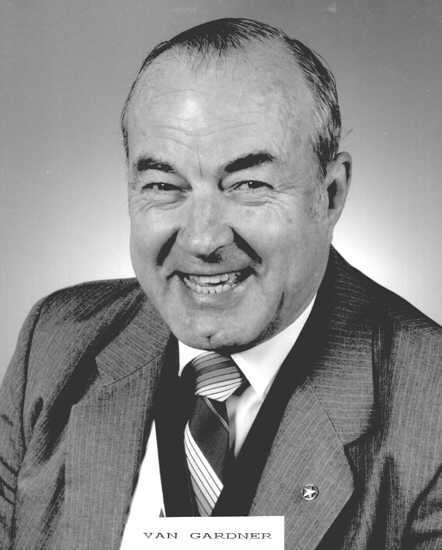 Underwood as an Associate Engineer. I was assigned to CPU design. Later I worked on the 1401 Emulator for the IBM 360, and after that Underwood had several of us designing the 1405 attachment. 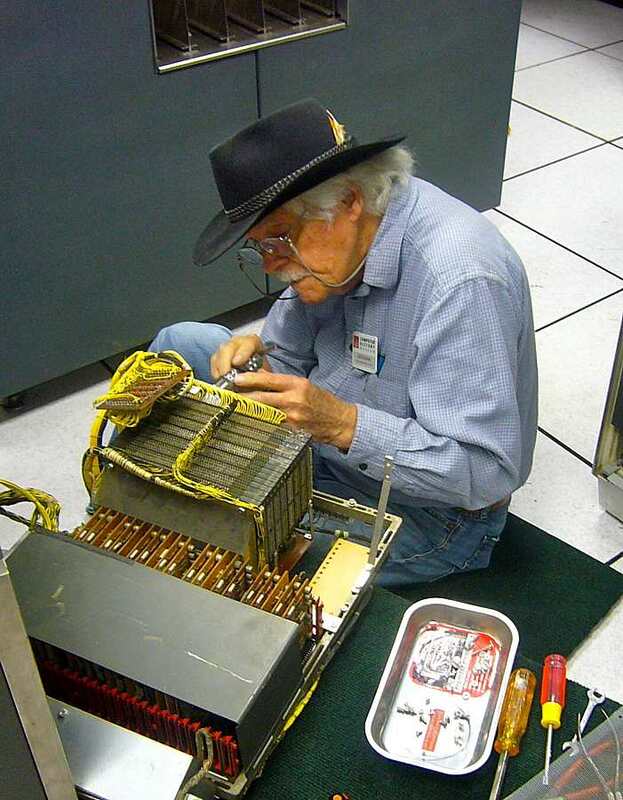 The next assignment was CPU design of the IBM 1440 under Ray Klotz. After that I was appointed manager of the IBM1285 Roll Reader an optical character recognition product until it was transferred to Rochester MN. 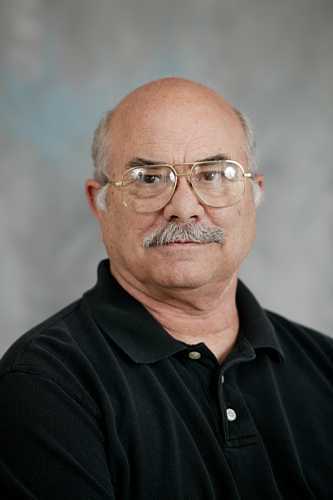 On staff of Small Commercial Systems Engineering under Gil Baskin. This involved coordination with the IBM 360 Model 20 effort in Boeblingen Germany. Next was a transfer to San Jose CA as the manager of the IBM 2305 control unit for the Fixed Head Disk File. 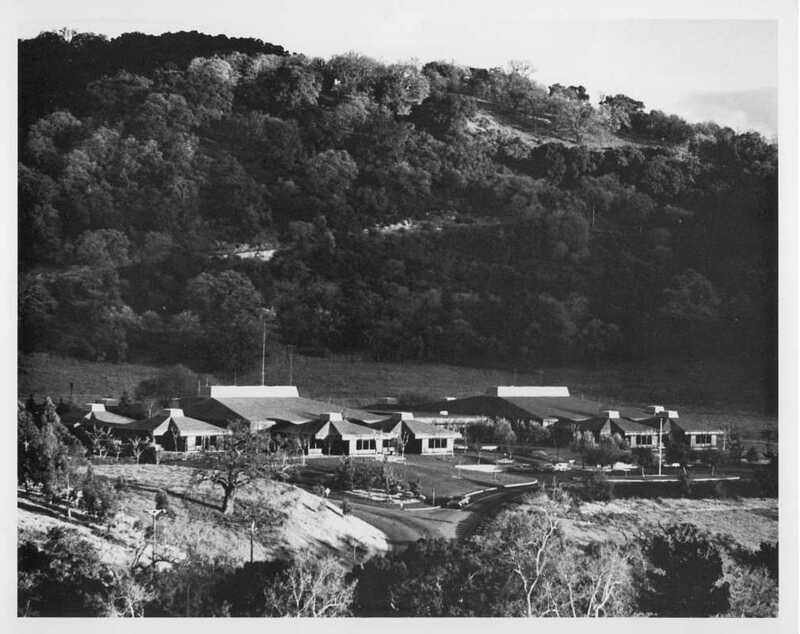 One of these pictures was taken about the same time I first met the 1401, as it was replacing the 1440 at College of Marin (formerly Marin Junior College) in 1966. My first excursion into emulation was to re-implement the "141" simulator that ran on the college's 1620 to the soon-to-be-acquired 1130. As with many projects in my life, that one was cancelled when the engineering department got wind of it. 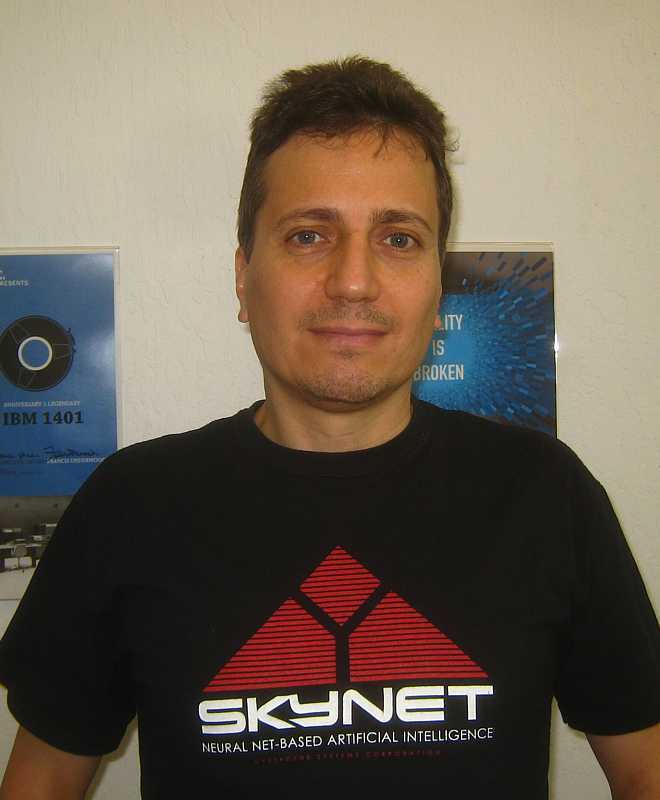 The other picture is more recent, but I realized it nicely bracketed the heyday of the 1401, with a turn of the (20th) century trolley and the tee-shirt from a 2014 computing conference. The 1401 (and 1130) were very good predictors (or creators) of the rest of my computing life, as both DP/MIS/IT and embedded systems programming have this odd facet: The code is supposed to work, with no blaming the customer. Those two machines, plus my first non-IBM machine, a CDC6400, also taught me just how varied computers can be. This is the URL of the main page of the web site you are viewing. 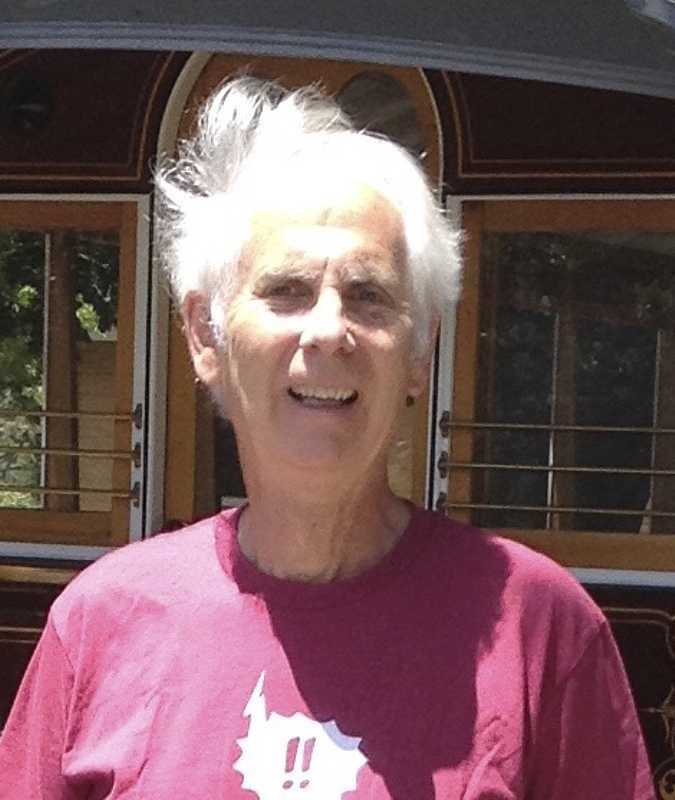 (Deceased - April 2016) My first experience with data processing was in the early 1960's attending several IBM programming schools and working with a 403. After that I worked several years at Bridgeport Hospital with a dual-disk 1440 and then a 360/30. In 1968 I started a personal business, "OK Data Services," focused on country club billing in Westchester and Fairfield Counties. I first rented time on a 1401, and in 1970, as the business grew, I installed a Univac 1004 in my home. In 1972, I acquired the 1401 system with four 729 tape drives for $25k from Genesco and installed it in the basement, along with a motor generator set for supplying the 3-phase AC power. The lights dimmed when the system was turned on! Later, I acquired another four tape drives and a spare 1403 printer and spare extended memory. My home business also included several 029 and 129 card key punches, an 083 sorter, and several home-built Mits Altairs. The 1401 was under IBM maintenance contract until the mid 80's and, after that got too costly, I was able to keep it going with the help of IBM friends and my own know how. In 1995 I retired from my personal business and turned off the 1401 for the last time. After 12 years of storage in the basement, it was time to find a better home for the 1401. It didn't take long for my son Scott to find the 1401 Restoration web site. 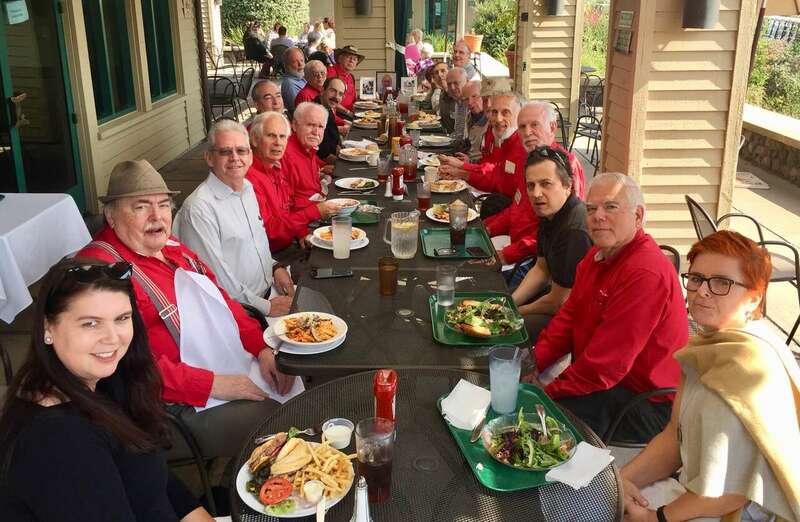 We immediately caught the CHM bug and saw the vision of the 1401 Restoration team. It's been a great experience working with Robert, the volunteers and the CHM staff. I wish the CHM many years of happy computing on the 1401! My first exposure to the 1401 was in 1972 when, as a five-year old, my father installed this massive computing system in the basement of our home and displaced the great space that my brother and I had played in. I, along with my entire family, participated in the business, up through my teenage years. Our home was stuffed full of data processing equipment. Through osmosis, I learned how data processing works on an IBM 1401, including punching cards on a 129 key punch at age 12, running an 083 sorter and picking up chits from the country clubs after I had my drivers license. Some 36 years later, searching at 4 am on Google for a new home for my father's retired system, I found your 1401 restoration web site and got some chills up my spine when I came across all this computer equipment in your Museum that we had in our basement! I had a tough time sleeping that night and gave Robert, "the proprietor" a call the next day, which he enthusiastically responded to. After looking thru the CHM web site and talking with Robert, I thought that this was the perfect fit and would fulfill my dad's wishes for the system. Good luck restoration team and I can't wait to see the 1401 running again! 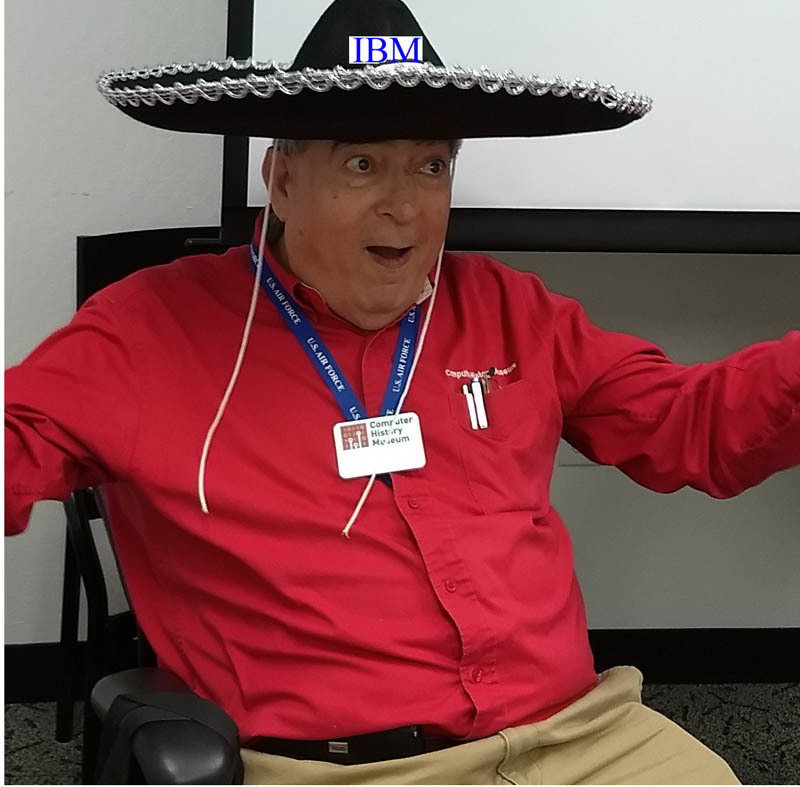 I worked for IBM for 37 years as a CE, SE, Sales man. I fixed all types of systems and EAM during that time. I could still fix a 704 or 709 if you had one to get running, ( ie: Paul Pierce's warehouse full). My main systems were 700-7000 systems although I did fix 1401s and early 360 to model 40s. 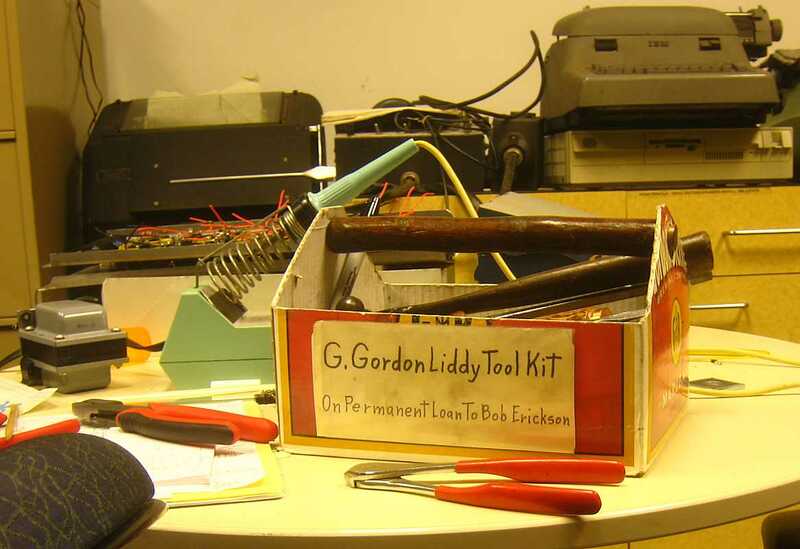 When we could not use an oscilloscope to fix anymore the fun was gone. Bob sent a number of replacement 1401 system lamps which have been very helpful :-)) Also a roll of mag tape "Load Point" stickers. 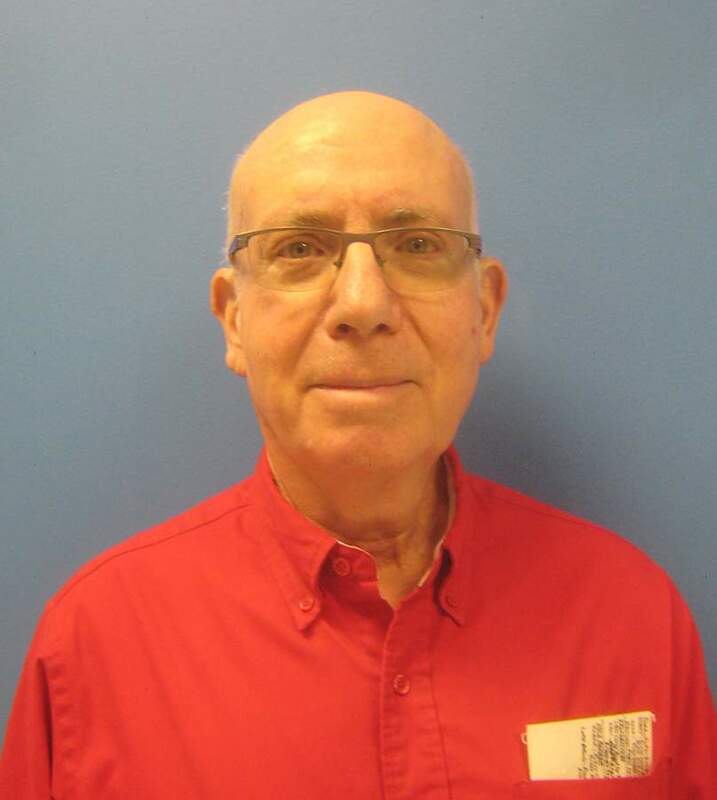 Mike started in 1968 writing FORTRAN for a 12K IBM 1401 with a 1311 disk drive. He quickly graduated to Autocoder, writing numerous card and disk utilities. 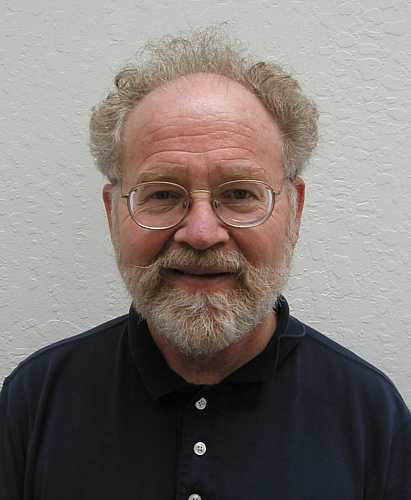 He wrote the initial SIMPLETRAN compiler, a Python-like language, in 1969, and enhanced it 1970-1972 when Robert Eckert joined him on the project. 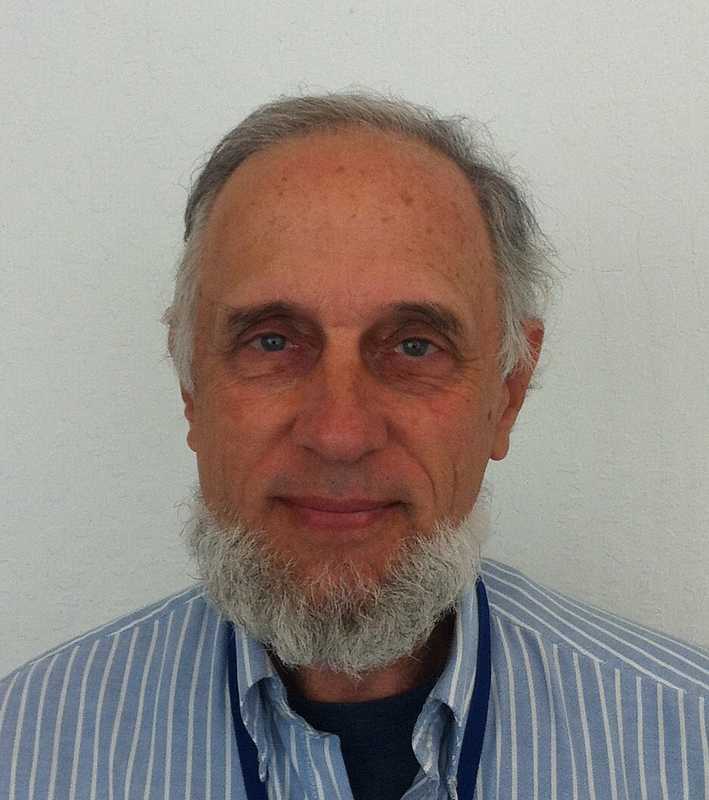 He is an EECS'76 graduate of MIT, and has done graduate work in Robotics and Computer Science at Carnegie-Mellon. He is considered by many to be a Legend in his own mind. 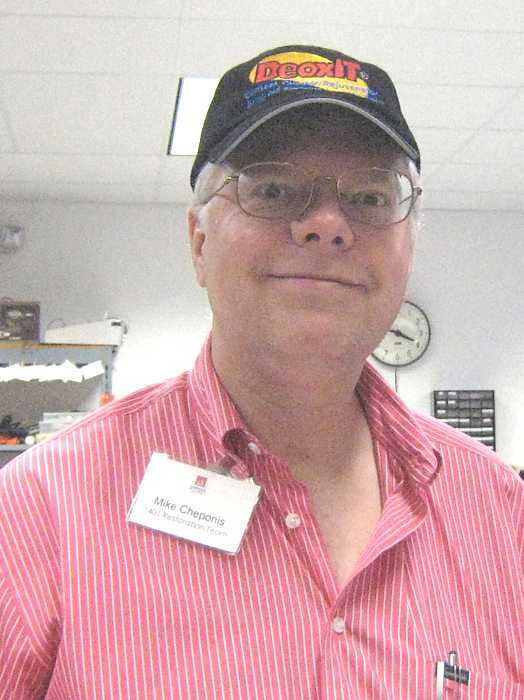 from Ed Thelen - If you search "Mike Cheponis computer" on Google, your jaw will drop. Electronics guru. My first hands-on computer experience was with an IBM 1130 system, at the start of four and a half decades working with and in the computer field. Recently, I have been building a recreation of an 1130 system, as a focus for my hobby interests in electronics and computer design. Involving, as it does, a mixture of original historical computer technology and modern technology like FPGA, the experience I have been gaining may be useful in restoration efforts, to augment or substitute for unavailable products or options. I worked with mainframes for many years at firms such as Manufacturers Hanover Trust and Hitachi Data Systems; currently I am responsible for all our research on High Performance Computing and on emerging server technology trends at Gartner. Preserving the history of computing is important to me and I will pitch in to help the team in any way I can. I won't claim any of that knowledge is in my active memory now, but if you have IBM maintenance manuals, it ought to come back. At least, I am not frightened by electromechanical gear and reed-relay circuits. The first real computer I used in High School was the IBM 1620 Model I. 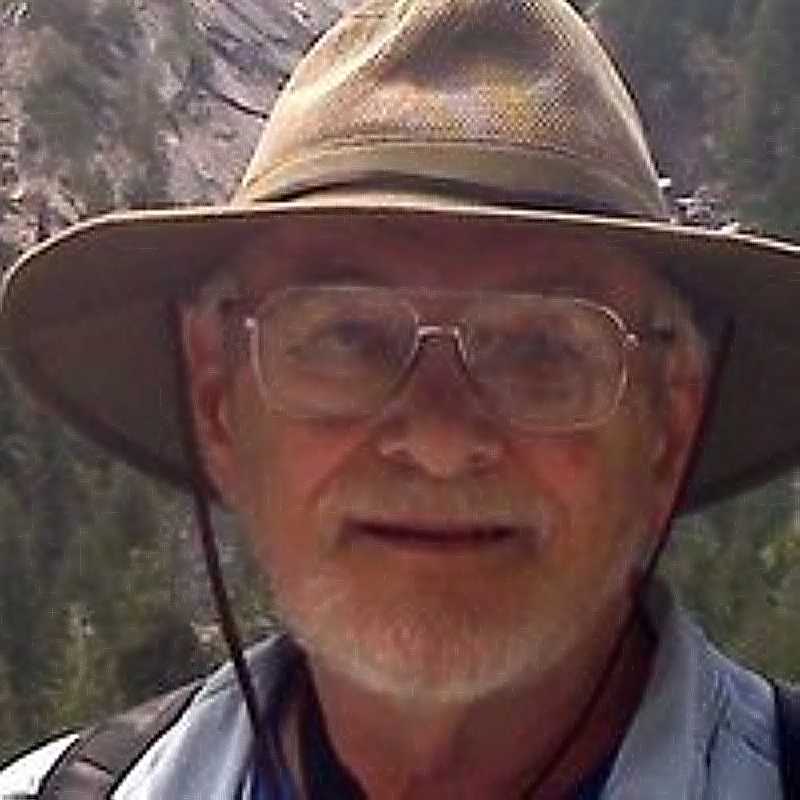 My math teacher the year before had given me a copy of the FORTRAN IV Primer and over summer vacation I read it cover to cover and wrote a Tick-tack-toe game program and asked if he could get me on a computer to try it. I spent every evening after school that year that I could using their 1620. One of my programs written in SPS assembly code used the variable word length of the machine to calculate factorials: I stopped my final run of it after it had printed every digit of every factorial from 1! to 210! at which point I got tired of watching long strings of zeros printing. The first F/A-18A/B head down display that I worked was almost 30 years ago (1978) and went obsolete roughly 20 years ago. It used two bit-slice TTL CPUs and drew its stroke graphics using digital differential analyzers. 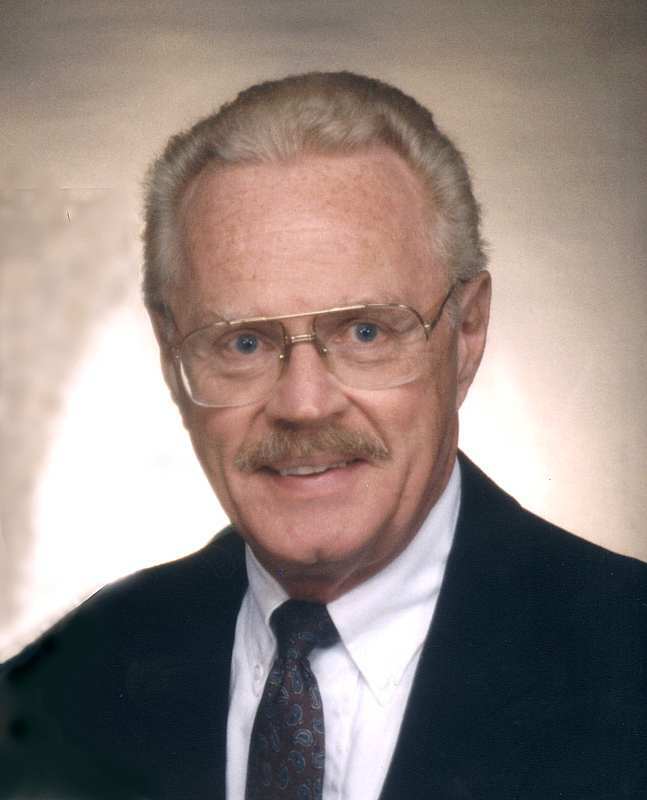 I started with IBM as a Customer Engineer in the Santa Ana, California branch office in early 1962. After the typical field orientation and training, I was sent to San Jose a few months for Basic training. Training was on Keypunches, Sorters, Collators, Interpreters, Tabulators, and how to fix greasy complicated Electro Mechanical machines in a white shirt and tie, and not get grease on my shirt. That was a large portion of the final basic training grade. From about 1963 to 1967, I spent most of my time installing and fixing 1401 Systems around the Los Angeles basin. 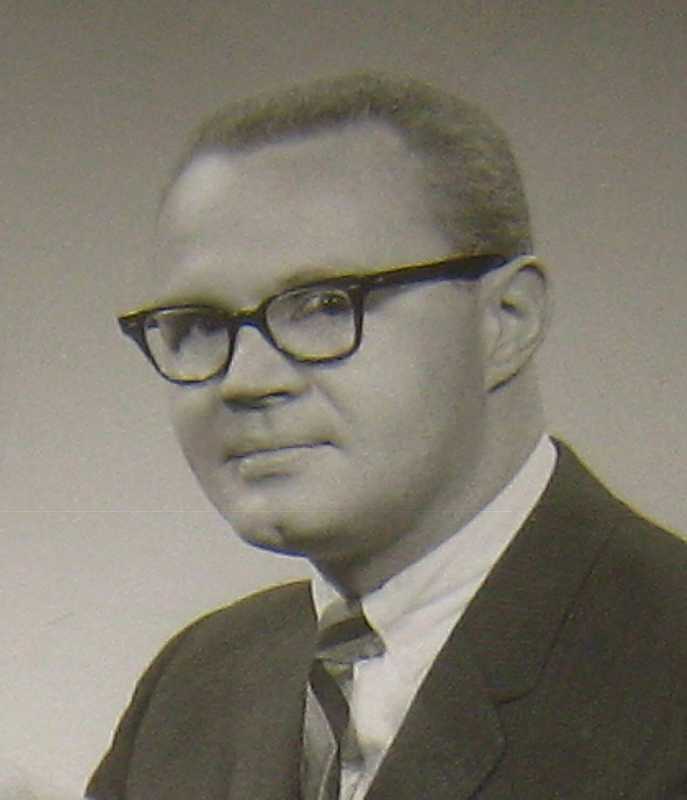 Then, I became an Instructor at the Los Angeles IBM Education Center in 1967. When I went to the Education center, the 1401 saga ended, and I taught Common I/O, 360 and 370 Mainframes until the end of my IBM career in 1972. I remember the 2 most common 1401 bugs. One was the Start/Reset key failure when the 1401 went ape for no reason at all except a bad start/Reset Key, and the storage segment failure where the Inhibit driver card that was bad for that particular segment would burn your finger with a super hot resistor. Replacing that card fixed the problem. Easy to find! Xerox STAR/Dandelion team photo ~ 1981 [ Ed Thelen says "Electronics super guru. 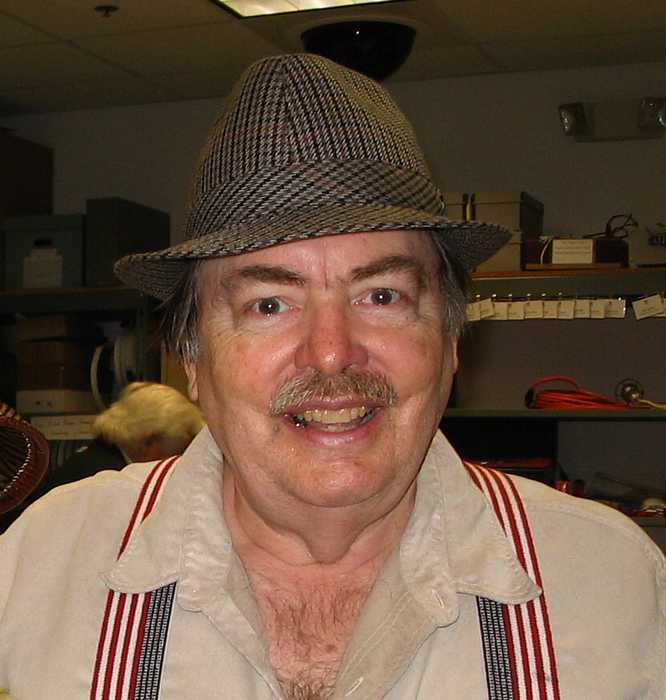 "Here is a nice link to post for Ron Crane http://spectrum.mit.edu/spring-2006/good-energy/"
Ron helped the Homestead High Robotics Club for 14 years. These are lined up for a photo at Celebration of Ron's Life on Aug 27 2017. 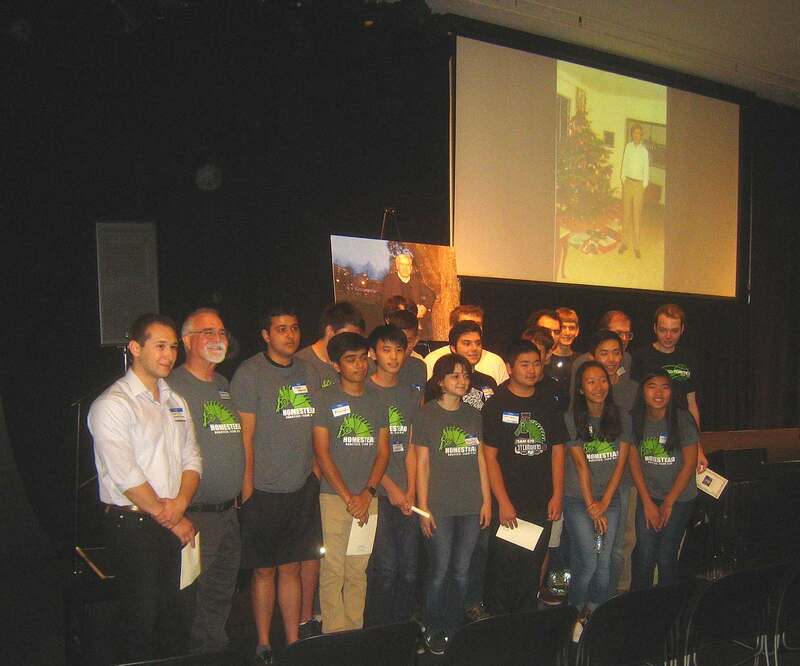 Over 260 people attended this at the Computer History Museum. I started with the IBM in 1959 as a CE in Manhattan, NYC, BO 546. I started out in punch card equipment up thru the 407. Shortly after I was sent as one of the first 1401 hardware CEs. I was the roving Region 4 specialist as well as accounts in my own branch. I continued on to 1410, 7010 hardware and then on to the 360 series. That got me into software and the beginning of the OS or MVS systems. That's how I got to come to San Jose, as a software SPR. I'm a little young to have worked with a 1401, but I remember seeing one in operation when I was a kid, when my Dad worked at US Steel as a programmer. I built my first computer, an Altair, when I was in high school, one of only two kids at school with a computer. I persuaded my English teachers to accept papers printed (in upper-case only) on a Teletype, rather than having to read my terrible handwriting. I went to to get a Masters in EE from University of Illinois before returning to California to join a startup company, Wyse Technology. In between starting companies, I remain interested in historical computing, especially restoring technology from bygone days. That Altair I built in high school still works perfectly (as do several other vintage computers in my basement), though my wife calls it all e-waste. 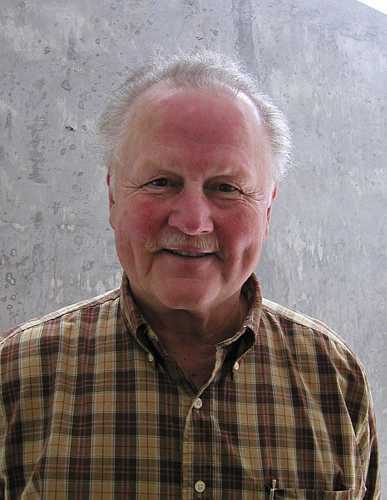 w 1406 In 1941, at age 20, I joined IBM Minneapolis as a Customer Engineer. 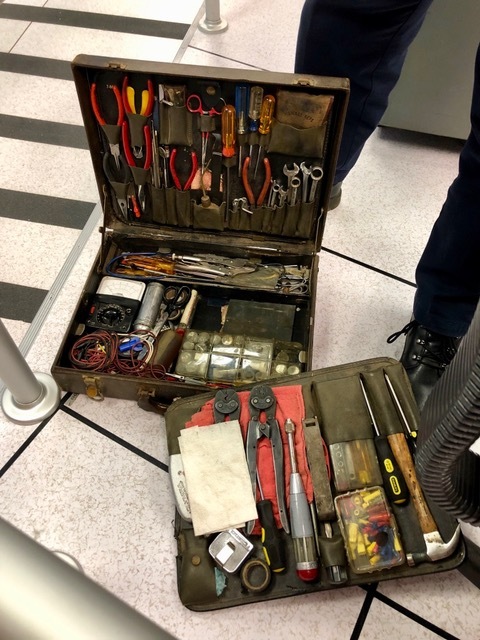 In Chicago, from 1941-1943 and 1946-1949, I serviced accounting machines (402, 403, 405 407) , card reproducers (512, 513, 519), calculators (601, 603, 604) and card keypunches (026, 029). During WW-II, 1943-1946, I was at the Naval Security Station in Washington DC, responsible for maintaining special card machines (797) used for cryptanalysis of war-time transmissions. During the Korean War, 1949-1951, I returned to the Naval Security Station, maintaining ERA 1101 (ATLAS) and ABLE computers. From 1951-1955, I was a CE for the IBM 701 mainframe at Los Alamos National Laboratory. From 1955-to-1984, I worked in San Jose's Custom Systems, which included installation of a dual 305 RAMAC with attached 407 printers for the 1960 Squaw Valley Winter Olympics (1st computer at an Olympics). Other projects involved the 1620, 1800, and 360/20 computers. Over the past years at the Computer History Museum, I've restored an 077 card collator and a 513 card reproducer. Bob had remarkably steady hands, and soldered this core plane wire in 2007. See last item. 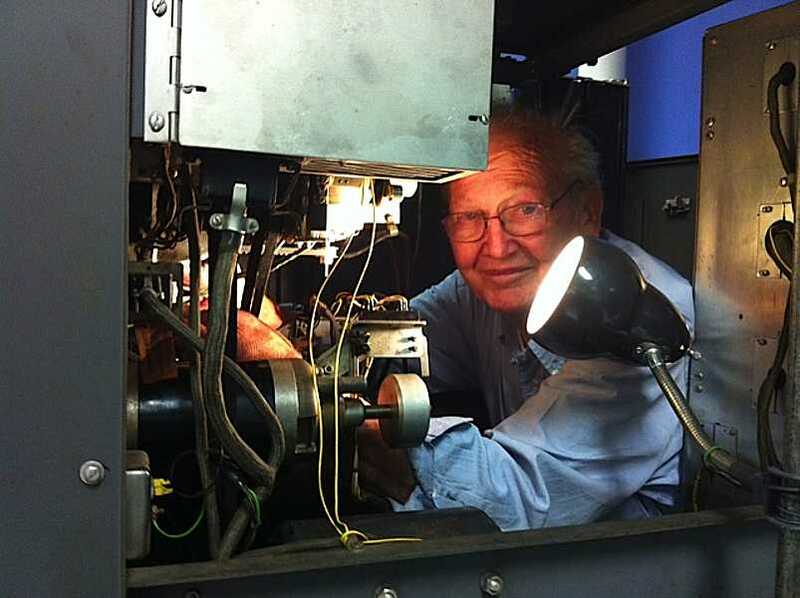 Bob was busy restoring this donated IBM 706 Williams Tube Memory chassis and constructing and wiring a control rack for it until November 2013. 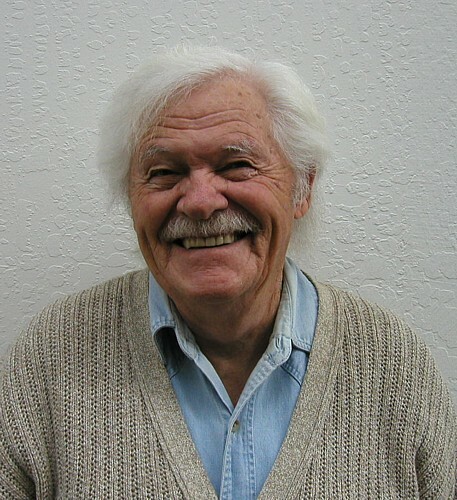 He passed away December 15, 2013 at the age of 92. - He was a grand person. Mike Chaponis says "Bob E. was a huge inspiration to me, keep going, keep contributing, keep going." Hired as Unit Record CE in Santa Monica in 1958 w/DEW line radar repair background. First account was 24/7 MGM w/IBM 650 and progressed to Tech Spec in Aerospace Office 510 and eventually Area Staff in Western Region till 1971. Hardware: 650 self taught, 543&544(predecessors of 1402 read and punch feeds), Installed first 609 shipped at Western Air Lines, 1401, 1402, 1403, 1405, 1406, 1407, 729, 7330, 1311, 1011, 1012, 1903, 1440, 1460, and first 1403-3. Installed first 2030 shipped, 2040, 2930, 2065, all 360 I/O, 2260/2848 Product Test & wrote FE Handbook. Software: 1401 Software support trained on Autocoder Assembler and Sort 7. Continued servicing everything IBM in US as competitor till burned out and retired in 1988 [to Redding, California]. 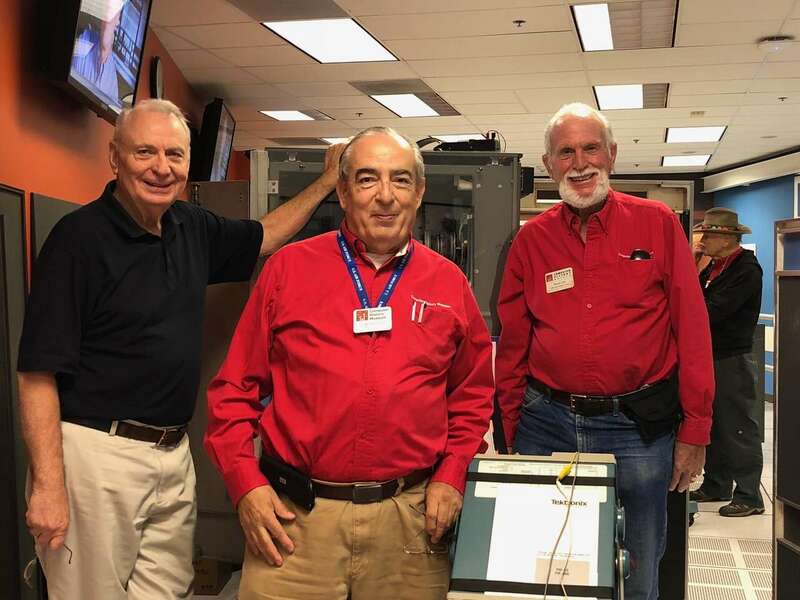 Based in Massachusetts - "I've been working, very slowly, with Robert and a number of restoration team members to put together a modern 'theory of operation' for the machine, something that would help a modern reader (or potential restoration team member) understand how the machine works, well enough that they can dig into the primary IBM documents." 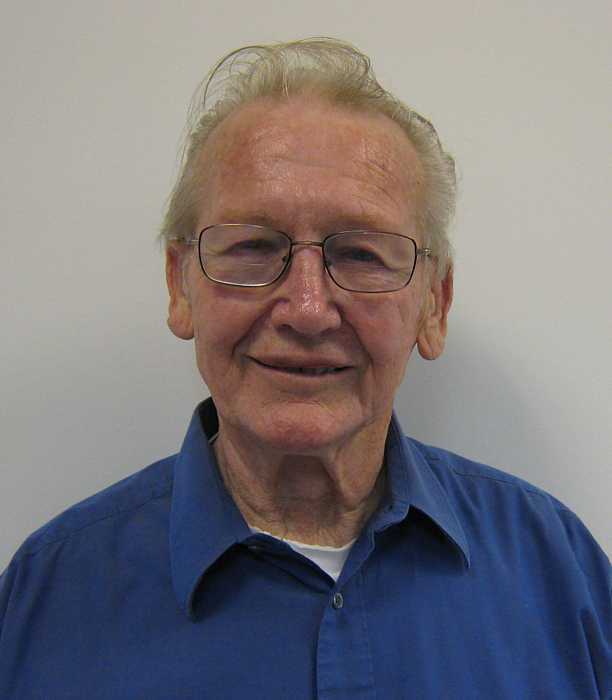 Author of the developing "IBM 1401, A Modern Theory of Operation"
Gary built his first 'computer' that played tic-tac-toe when he was 15 in 1952 out of relays from two pinball machines and wrote a paper in his English class called ?The Big Brain? about how many vacuum tubes it would take to have the capability of a human brain. It was not the topic he was supposed to write on so he got a C+. (It was short of the mark by many, many orders of magnitude and would have taken up several miles of real estate. MTBF? Forget about it!). After spending 4 years in the Coast Guard as an ET to get the Korean GI bill, he attended U.C. Berkeley and got a BA in Physics and Math and an MS in EECS. 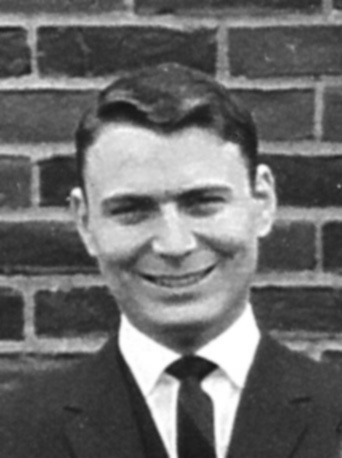 While a undergraduate he was a computer operator at Lawrence Berkeley Lab and operated a IBM 709 (vacuum tube machine) then later a 1401 and a 7094 (transistor machines). Since then he has worked at a number of firms including NASA, Intergraph, Sun, and Apple. He also ran a number of companies of his own including Minicomputer Technology Inc. and Inner Access Corporation. He has served in a number of capacities including Analog, Digital and VLSI design and verification engineer; systems, embedded and application programmer; engineering manager, and every other skill necessary to run small high tech companies. 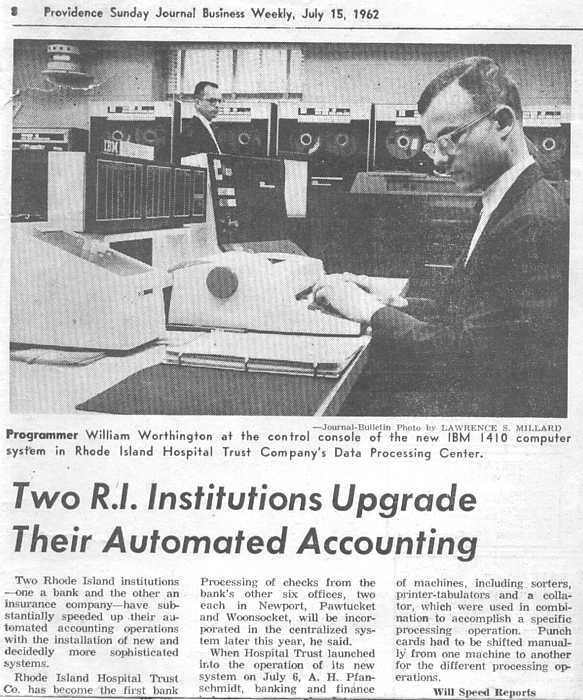 My experience with the IBM 1401 was in college when I got a job as a second-level analyst helping the State of Illinois convert their software base from Autocoder--mostly object decks without source--to Cobol. When programmers doing the conversions got stuck because of some "clever" code segment, they would bring it to me. After college, I worked for IBM in Poughkeepsie on the 370/158, 303x, and the beginning of the 3090. I wrote firmware for the Service and Maintenance Subsystems, which initialized the mainframe, controlled its operation, collected error logs, diagnosed problems, and interfaced with the Remote Support Center. Since it hooked into all of the mainframe system interfaces, we had major role in supporting the engineers in brining up these systems and supporting field engineers during the early customer installations. 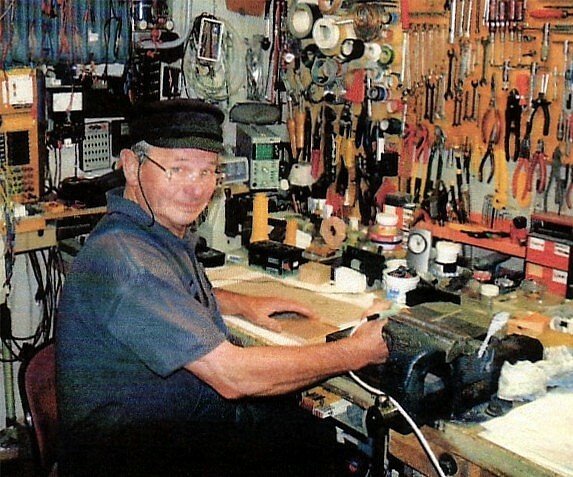 I serviced 1401 systems between 1963 and the mid 1970's as a customer engineer and a field engineering specialist. I would be very happy to get involved in this project. Although Van lives in Georga, he has contributed many artifacts, advice, and stories to this project. He has also contributed a wealth of IBM stories. As found in The One Week School That Lasted For Six, Van had more than his share of experience with 1401s and "Overlap". 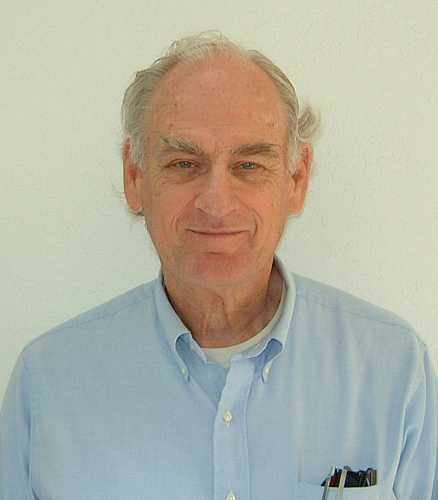 ;-)) Robert Garner's 32-year Silicon Valley career in engineering design and management spanned both product development and research at Xerox PARC, Sun Microsystems, Brocade Communications and IBM. 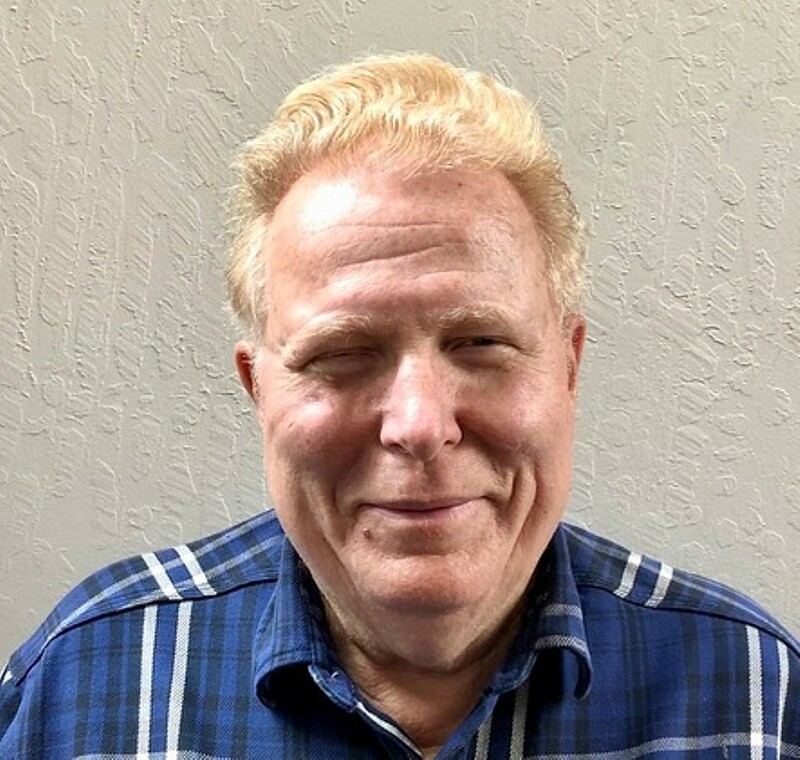 He joined Xerox Systems Development Division in Palo Alto, CA where he co-designed the hardware for the ground breaking Xerox STAR 8010 Profession Workstation and the first commercial Ethernet. 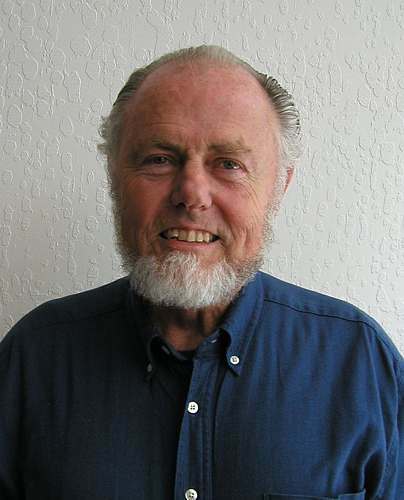 In 1981 he was a researcher at the Xerox Palo Alto Research Center (PARC). 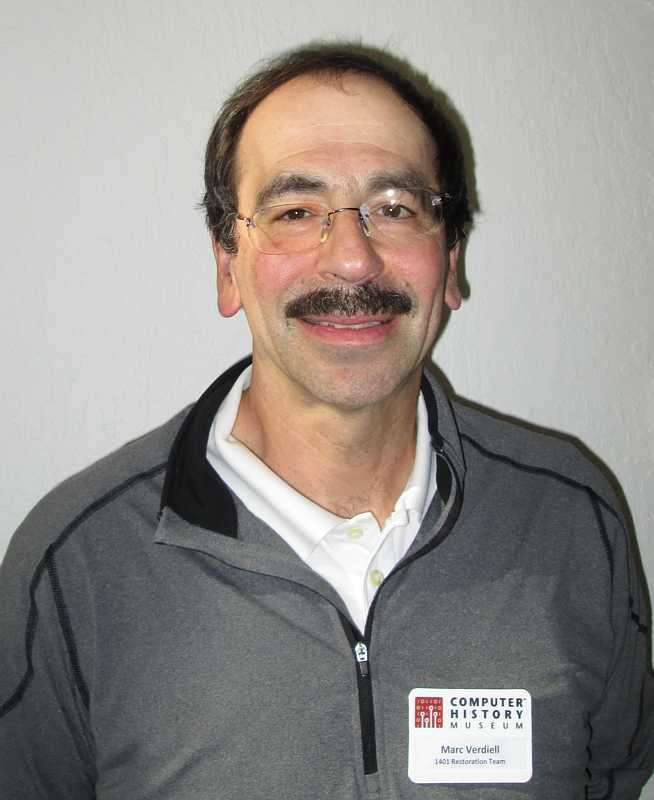 In 1984, he joined the start-up Sun Microsystems as the lead architect of its SPARC RISC architecture and co-designer of its first SPARC product, the Sun-4/200 Workstation. 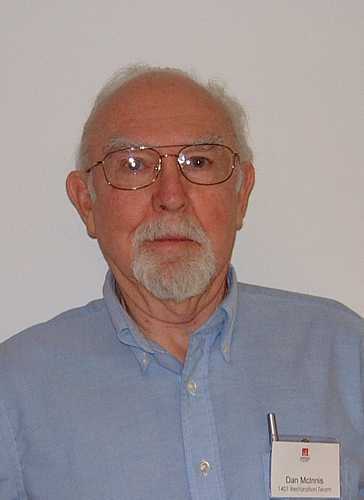 He then managed several ASIC, microprocessor, and Java-based engineering design teams, including the UltraSPARC-I microprocessor. 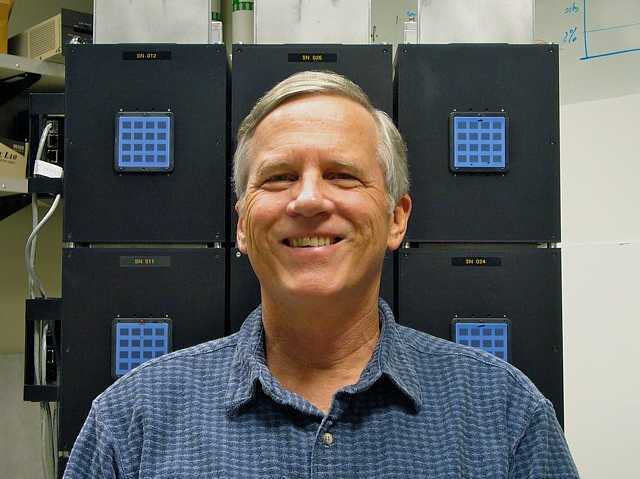 In 1998, he became Director of Hardware Engineering at the start-up Brocade Communications, responsible for FibreChannel ASIC and switching products. 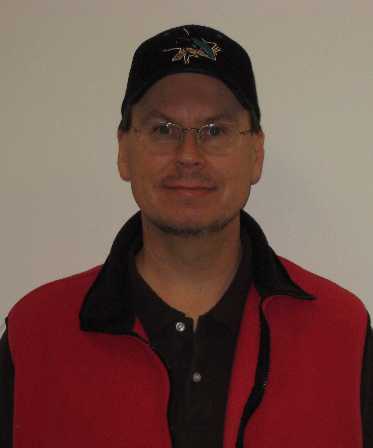 In 2001, he joined the IBM Almaden Research Center in San Jose, where he co-designed the experimental 3D server ?IceCube? prototype. 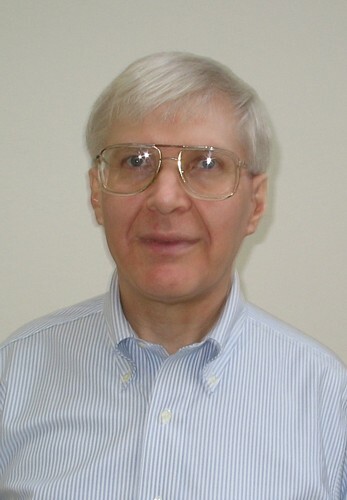 He currently manages a software group architecting and developing IBM's General Parallel File System (GPFS), widely used as the scalable high-performance storage subsystem in supercomputers and clouds. 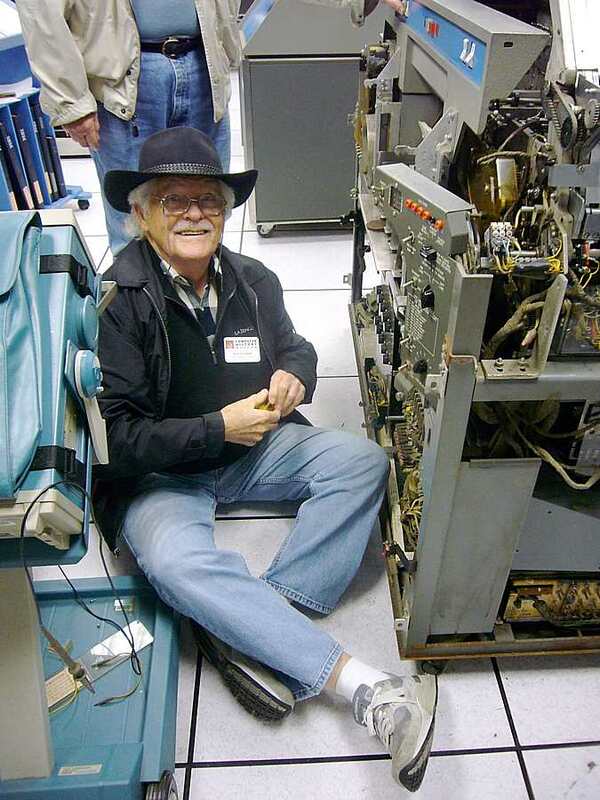 In 2004, he volunteered at the Computer History Museum to form and lead a team to restore a 40-year-old IBM 1401 computer. 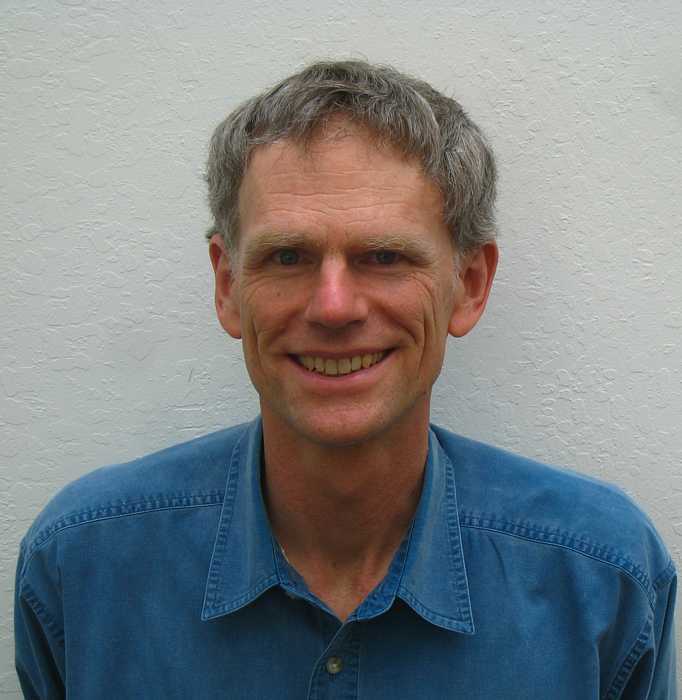 Robert received a BSE from Arizona State University in 1976 and a MSEE from Stanford University in 1977. In 1964, despite my education in Zoology, the U-Haul Trailer company in Portland, Oregon gave me a provisional job, an IBM 1401 programming manual, and orders to learn it or else. I'd never seen a computer before, but soon was writing applications programs in Autocoder for IBM 1401 and 1460 16K tape systems. Since I made lots of mistakes and clumsily dropped card decks, I spent many late nights keypunching and operating the 084 Sorter as well as the 1401. Later, I converted my mistakes to IBM 360 Assembler language. Moving down to Silicon Valley, I worked 5 years at Fairchild, developing and managing business applications in COBOL, PL/I, and FORTRAN, wrestling with 360/370 operating systems, and learning a little about semiconductor manufacturing. At ISS, I helped develop third-party 360/370 disk access method software using PCI-based channel programming. 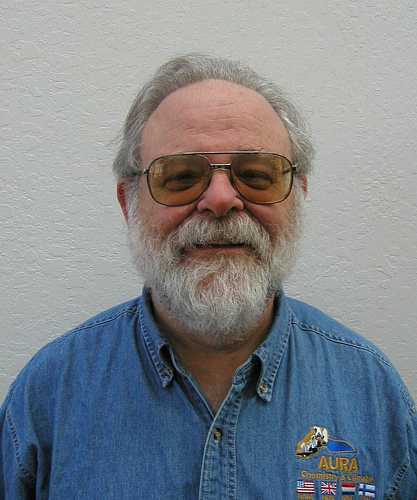 As a consultant, I developed embedded control software on minicomputers and microprocessors. One fun project was real-time software to control saws in lumber mills. Encased in a heavy steel frame to withstand flying logs, the PDP-8 cut lumber in remote snowy forests -- a real outdoor computer job. Finally, I founded a small software company developing and marketing semiconductor factory automation software and ran that until I retired. But, your first computer is always special. So I appreciate the CHM allowing me to revisit the 1401. 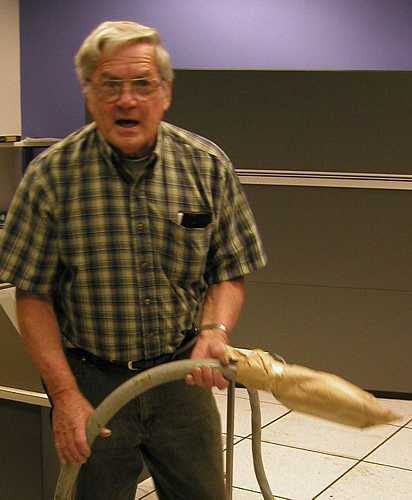 Past: Babbage Difference Engine Installation Team, Presenter and Maintenance Crew; SAP Collection, library, front-of-house greeter. 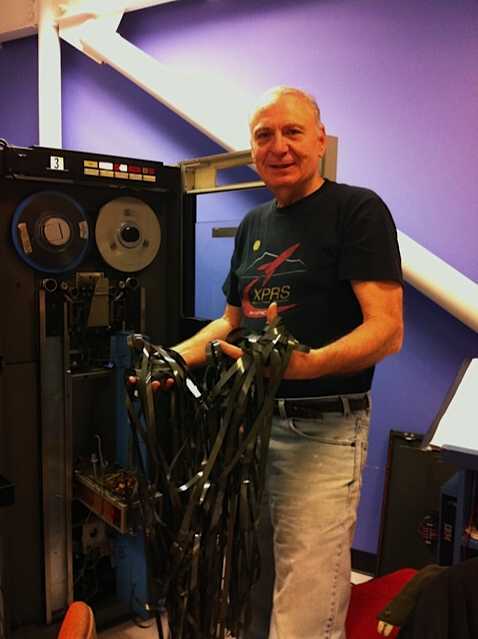 Helped Bob Erickson with the IBM 513 card punch. Seems to be familiar with physical geary oily things, gets right in there, takes pictures as memory aid. San Francisco State University, MA, Museum Studies, 2011 - Thesis "Policy Development for Working Collections." Interned at History San Jose (cataloged the Perham computer collection) and at the Henry Ford in Dearborn, MI, cataloging and conserving the vintage television collection. 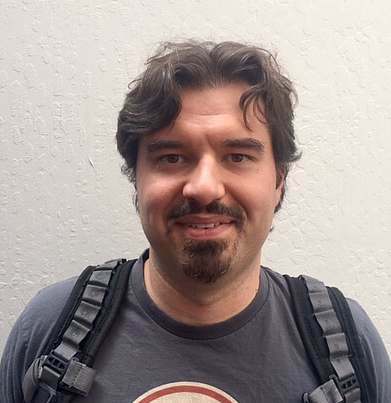 Executive Director and co-founder of the Digital Game Museum, a start-up museum in Santa Clara, CA, http://digitalgamemuseum.org which has presented exhibits at Maker Faire, PAX Prime, and the Sunnyvale Library, plus gaming tournaments and other game-related events and lectures. Jim knew Robert Garner from SUN days. 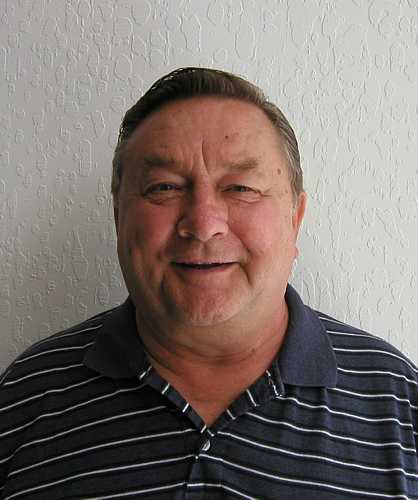 Jim also worked on attack submarines, and has wonderful, wild and wooly tales to tell ;-)) (And he seems to have a very practical working knowledge of electronics :-)) Fixed our big backlog of defective SMS cards. His formal bio is modern processor development at many levels. I worked in manufacturing on the 1440 and was a CE in Palo Alto and San Jose for 1401, 1440, 360-75 and 370-155 from '67-72. After a stint in DC, I became a programmer back in San Jose until '91 when I left. Frank and I can fix anything. Well, so can Frank and Rin Tin Tin, so I guess that isn't much of a bold statement. Both of us have experience adjusting card tabulation equipment too. I was a 1401 CE in Greensboro NC and I especially liked the 1403. After the 1401s had mostly been replaced by 360s I would occasionally take a call on one that someone had given to a school or non-profit organization. Most of the time the logics didn't match the machine and it was hard to find anyone who was 1401 trained. That was my first inkling that I was getting old. 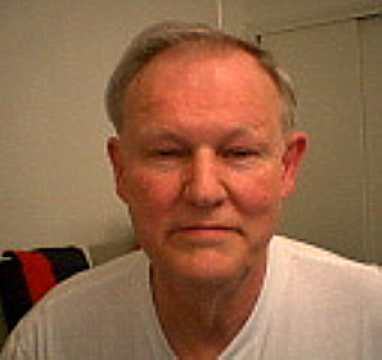 I moved to the San Jose area in the mid 70s as a Software Service Planner (SSP). I retired in 1991, and if my memory serves me right the last 1401 I saw was about 32 years ago. Joined IBM as a professional hire at 590 Madison Avenue New York In June of 1966 with the Office Products Division Internal Systems. Designed, programmed and implemented an Inventory Control System for Office Products Division. 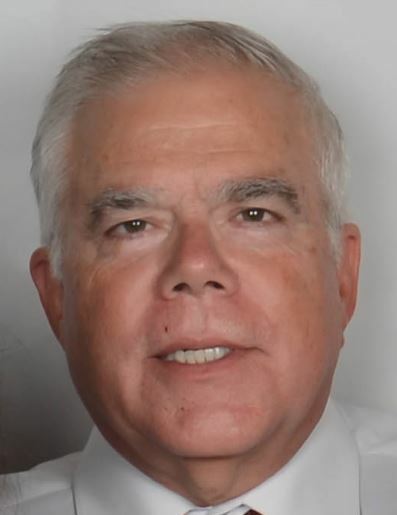 I worked for IBM from 1966 to 2001 in various positions, programmer, software developer, system's engineer, software engineer, software consultant, and program product specialists.med and implemented an Inventory Control System for Office Products Division. - on-line Teller Terminal Processing System for savings banks. - dental claims processing system for a major insurance company. System support for IBM Sort, Utilities and other Program Products. I took the only computer class Virginia Tech offered in 1965. The class was FORTRAN and the programs ran on the school's IBM 1401. I loved writing those programs. I decided to make computer programming my life's career. My first job out of college was in the John's Hopkins Applied Physics Laboratory's computer center. My job gave me hands on experience with an IBM 1410, IBM 7094, IBM 360/40 and one of the few IBM 360/91s in the world. My next big step was working for IBM on the SBC Call/360 time sharing operating system. During my eight years there, I worked on all aspects of the OS from the Basic interpreter to the file management management to networking. One of the perks of the job was that I had an IBM 2741 terminal in my home for system testing starting in 1968. It was like having my own personal computer. In the mid 70's, I realized that micro computers were going make timesharing obsolete. I quit IBM and went to work as a contractor to various personal computer companies. Some of my accomplishments during that era was writing Apple DOS 3.1, the Disk File Manager and Basic Interpreter for the Atari 400/800 and a C compiler for Cromemco. I spent the final years of my career working on digital cameras. I was the project managers for the first consumer digital cameras: the Logitech Fotoman, the Logitech Pixtura and the Kodak DC40. My last job before retiring in 2000 was as the Engineering Vice President at Flashpoint, a company that designed operating systems for digital cameras. 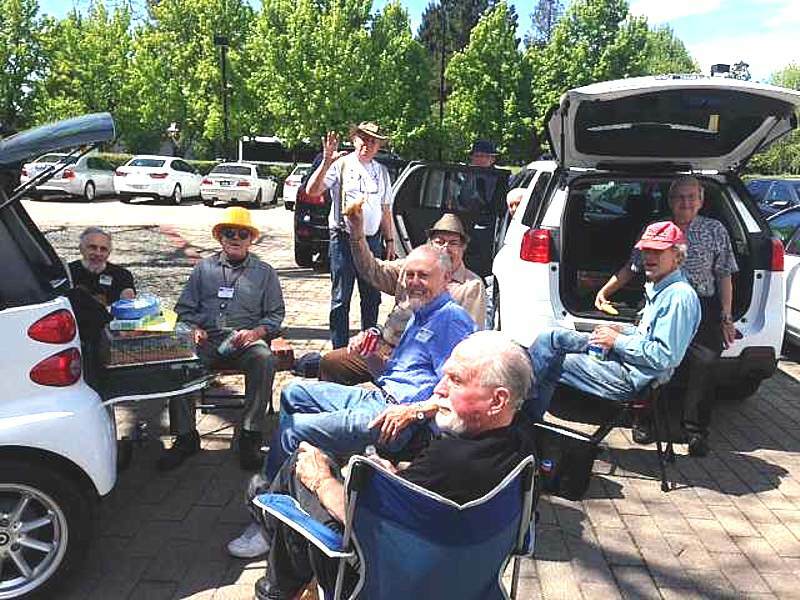 In my retirement, I thinker with Amateur Radio (AC6B) and writing software. I am the author of BASIC! f which is a free, open source Basic interpreter for Android devices. You can program you Android on your Android with BASIC! Paul Laughton talked about following his passion to a programming career that spanned from mainframes to micros, including the early days of Apple, working on a $13,000 contract to develop Apple DOS, meeting his future wife at the Homebrew Computer Club, hanging out with Jobs and Woz, and writing the book on Atari DOS and AtariBASIC. 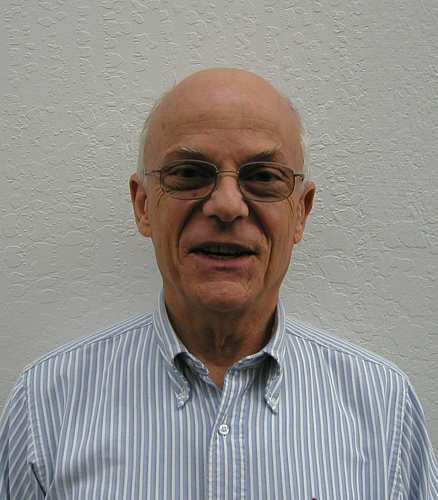 He eventually wound up writing firmware for one of the first consumer digital cameras at Logitech. 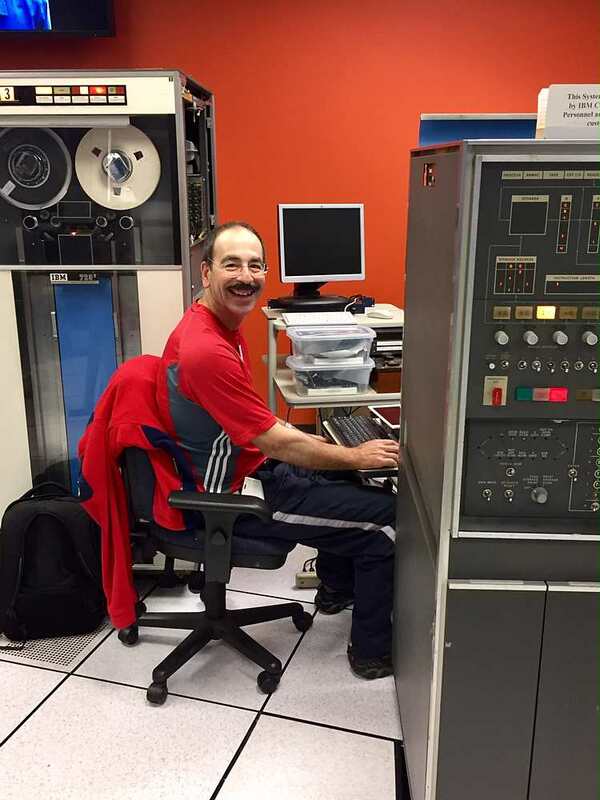 Paul is now a docent at the Computer History Museum in Mountain View, home of VCF West, using his spare time to write and maintain the BASIC! For Android app. My first 'real job' was electronics technician at Lockheed where I briefly used an IBM 026 to help computerize record-keeping and ensure control of 'out-of-calibration' test equipment. Over the years I worked with Univac 1108 (tape mounter and jr. console operator), DEC PDP-11 (operator of a remote Univac site for programmers), primary standards lab ( repair and calibration tech), CDC 5600 (test and debug tech). In 1977 Tandem Computers hired me as test and debug tech on cpu boards, i/o controllers and finished systems. As a programmer, I wrote power-on diagnostics for new products, also test procedures and software for i/o controllers (disk drives, tape drives, printers and serial comm lines). One i/o product enabled our systems to connect directly to an IBM HyperChannel. In later days I broadened my scope to crypto boxes and a DEC computer based on Alpha processors. I retired just before Compaq merged with H-P. 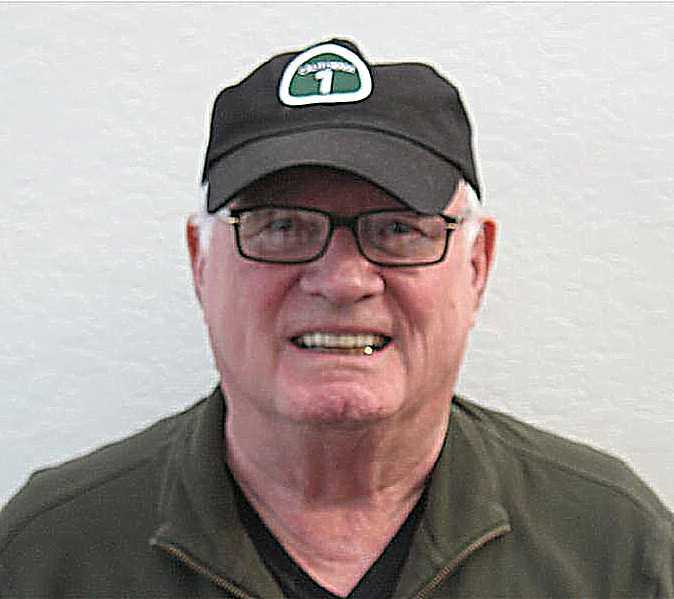 In 2005 I started volunteering at Niles Canyon Railway as brakeman, signalman and train electrician. We restore and operate standard gauge Pacific Coast railroad equipment (vintage 1910 to 1960) including steam engines. 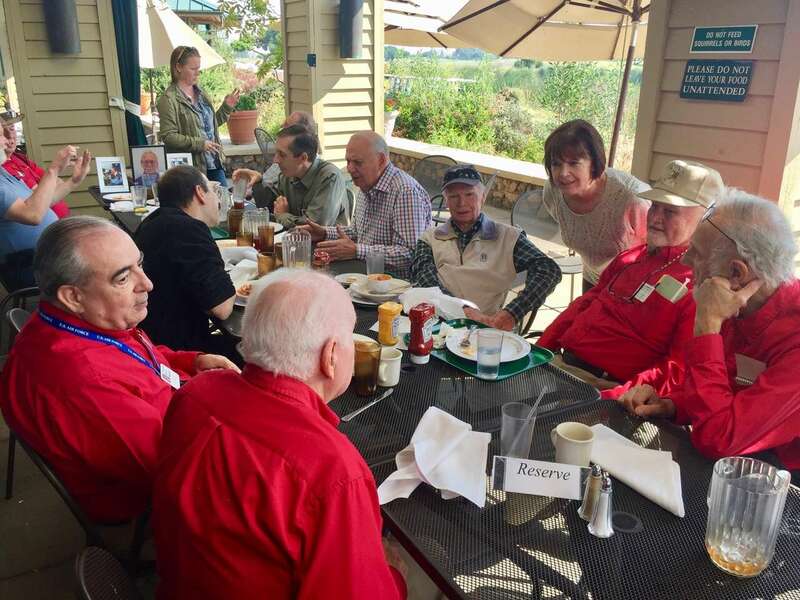 That non-profit museum thrives on the labor of volunteers and donations. I was trained as a Customer Engineer on the 1401 in 1960 at the San Jose plant. 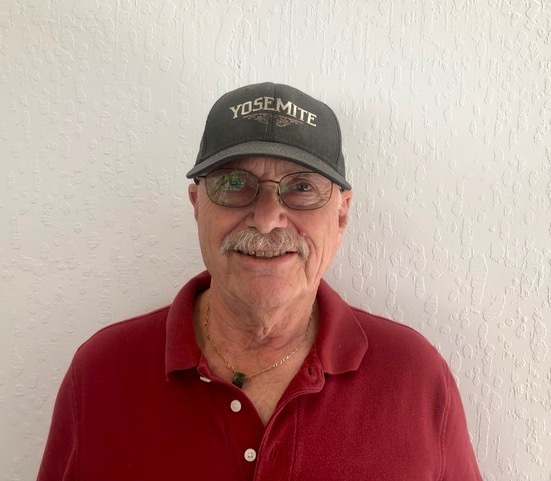 I became a Technical Specialist in 1961 and came to the San Jose plant to teach 1401 in 1962. I also helped write the 1405 instruction outline. Incidentally, I also taught 1620, 1710, 1311, 2311, 360 mod 20, 360 I/O controller and some stone-age programming (COBOL, BASIC etc.). 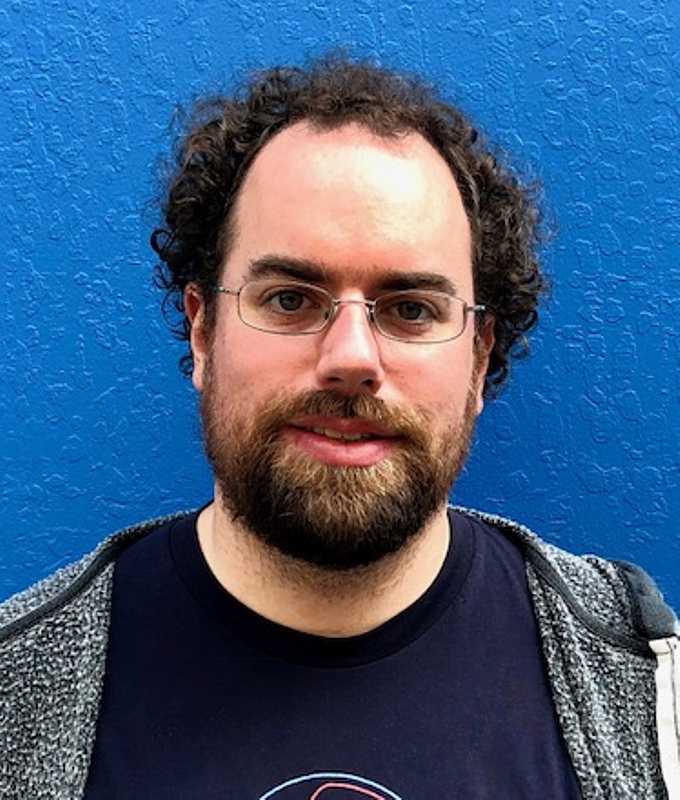 Stephen's career was mostly in software. 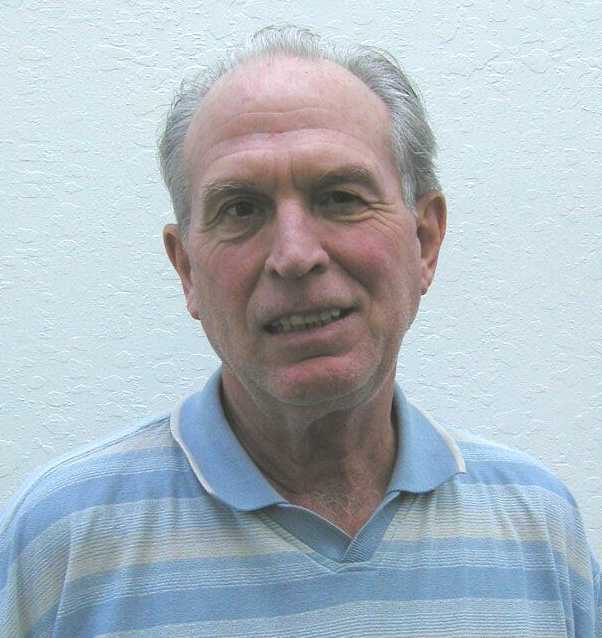 He started working for IBM in Southern California as a system engineer in 1966. New employees were mainly trained to use the System/360 computers, but tabulating machines were still in use, so they were trained to use them also. An early assignment was working with North American Aviation to convert tabulating machine applications to computer applications using RPG. 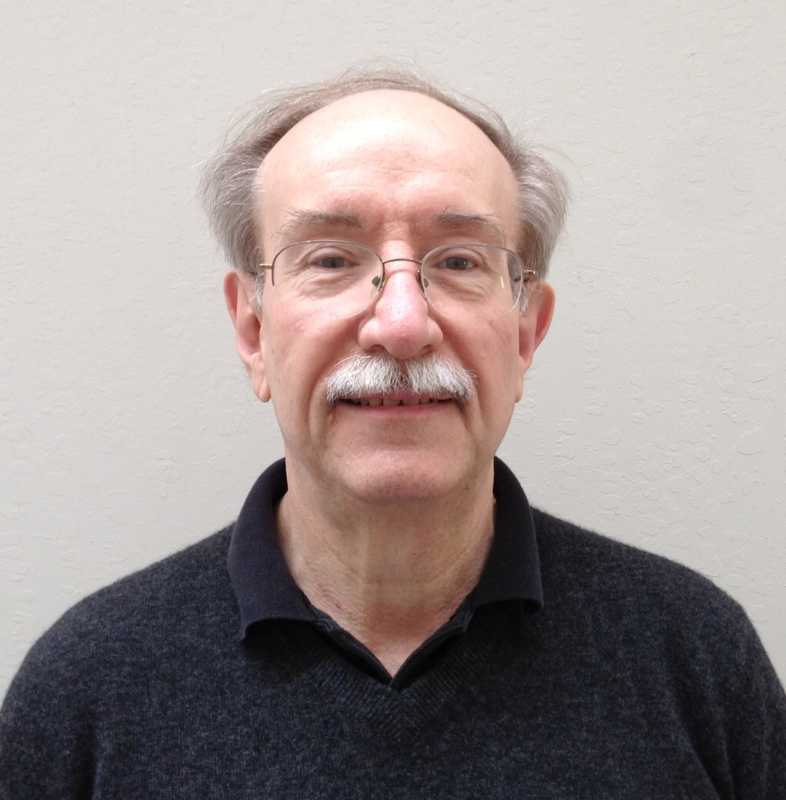 In 1973 Stephen transferred to Palo Alto where he wrote programs related to the Information Management System (IMS), such as the Data Dictionary and the Batch Terminal System (BTS). 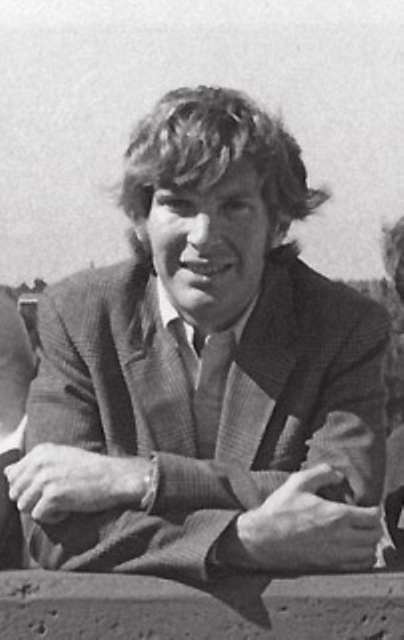 In 1979 Stephen transferred to a branch office in San Francisco as an IMS specialist. 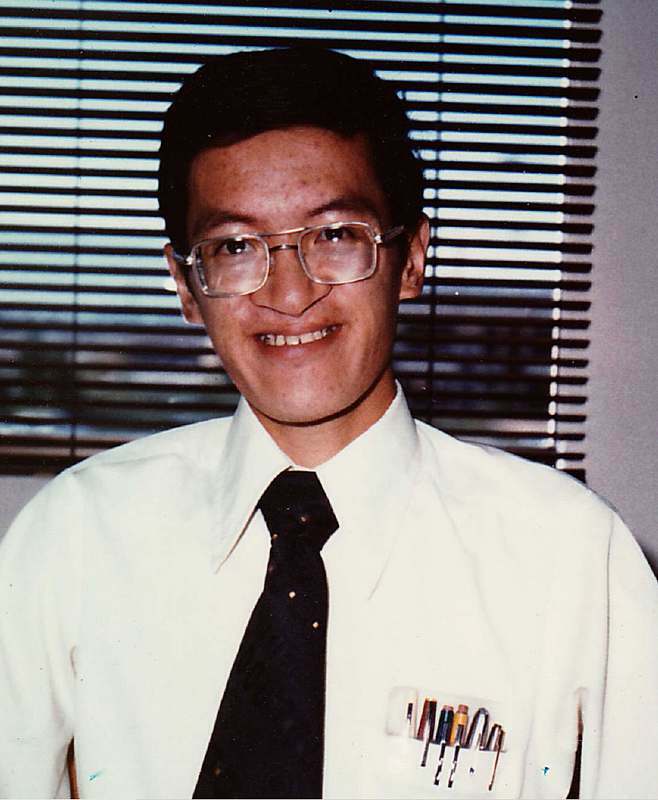 In 1980 he transferred to the San Jose laboratory where he worked with IMS and other software. 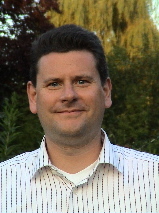 He eventually worked with DB2 related software including Query Management Facility (QMF) and Data Warehouse. 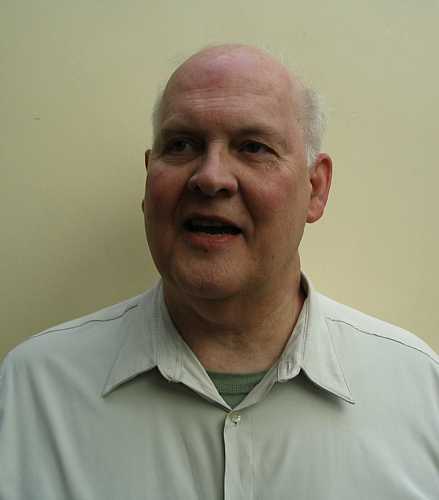 After 38 years Stephen retired from IBM in 2004. 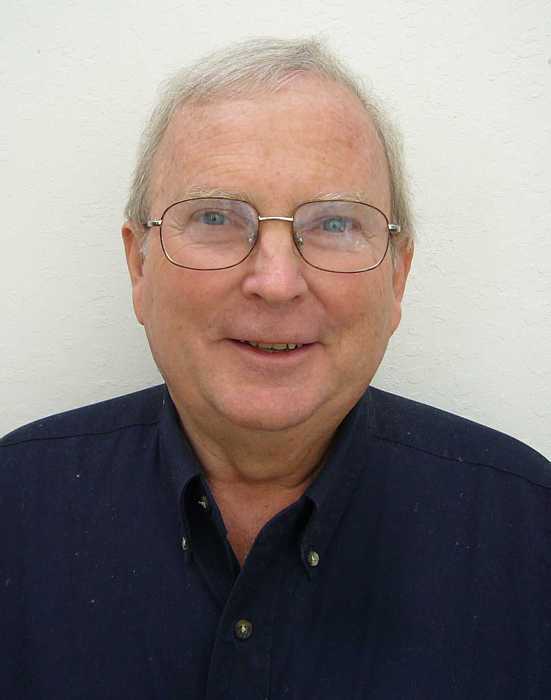 Stephen received a BS in Electrical Engineering from Iowa State University in 1964 and a MS in Management Science from the University of Southern California in 1972. Look at all those pens in that pocket protector. Who would hire such a nerd? I first learned how to program and operate the 1401 when I was in junior high school in 1968. The Richmond (CA) Unified School District had a very innovative program for its time to teach an after school and weekend computer programming class. The 1401 was the school district's computer system, and it did everything from payroll to class scheduling to scoring mark-sense cards from students' standardized tests. So there I was, a miniature proto-nerd learning how to keypunch cards, program in FORTRAN and Autocoder, and operate the "big mainframe" with its 16K of memory. 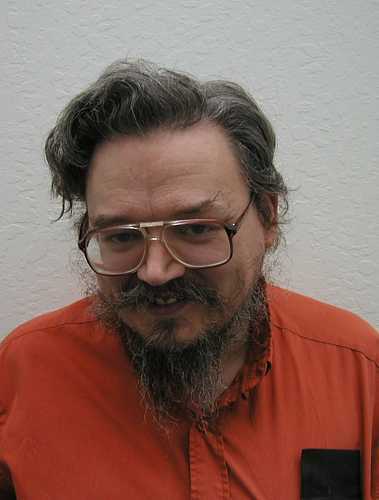 I wrote both serious programs, including an assembler and a you-against-the-computer board game, and fun programs that made the 1403 play music and do printer art. Believe it or not, I still have all the punched cards and printouts of every program I ever wrote in junior high and high school. So if we ever get Autocoder and FORTRAN IV working, I can supply lots of demo programs. I also have several data decks for the program that makes the 1403 play music. I believe I have the absolute (machine language) deck of the music program itself, but I'll have to check. I continued working with the 1401 all through high school. 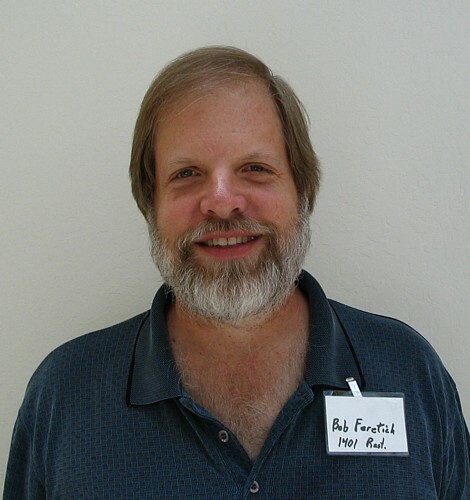 When I went off to university to study math and computer science, I was hired each summer by the school district to teach FORTRAN, COBOL, and Autocoder and to do statistical programming. During that time, they replaced the 1401 with an NCR Century 200 that emulated the 1401. Service Bureau Corporation (SBC) was a division of Control Data Corporation that originally was a part of IBM. CDC was awarded SBC after CDC successfully sued IBM over monopolistic practices. I joined SBC not long after that happened, and folks there were not happy. ... I worked at SBC for six months before quitting to go work for Hewlett Packard. Ron is a professor at San Jose State, Current and recent classes, also THE HISTORY OF COMPUTING SPEAKER SERIES Fall 2011 list of lectures, web casts (link updated) which are the recordings of the History of Computing speakers (including Gordon Bell, Alan Kay, Robert Garner, and Don Knuth) that I did a few years ago. I have had the opportunity and pleasure of being an instructor in the USAF and IBM. 1965-1967: SMD SJ, Final/System/NPLA Lab testing of 2321. Incidentally, I had the pleasure of working there with Chuck Kantman (RIP). Iggy has moved to Mexico and will no longer be able to (hands on) help us with our tape drives. We will all miss Iggy. I am a retired IBM'er with some long ago experience with the 1401. At that time I was a Systems Engineer in Washington, D.C. and installed several 1401s in the Navy and Marine Corps headquarters. I also taught several RPG classes to government employees. Before that I was a Customer Engineer in Washington mostly with NSA. Did not do any Customer Engineer work on the 1401 but could probably read diagrams and run cables, etc. I wrote several programs for the 1401 in assembler. 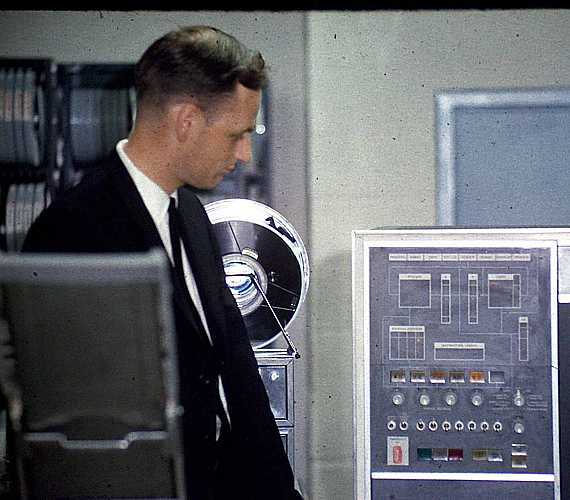 I was first introduced to the IBM 1401 data processing system in 1963, at the age of 8. 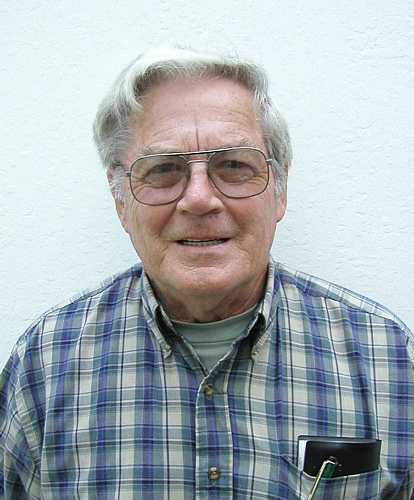 William Satchell, the father of one of my gradeschool friends said he would take us to the California Test Bureau where he had to get some extra work done one Saturday. On that day I met the IBM 1401, 1402 and, of course, the 1403. An acqaintance I was not to forget! 6BZ7, 6U8, 1N34, CK722, 2N107, 1T4, 12BY7, 6DQ6, 6J6, 6SN7, 6V6, 6L6, 12AT7, WB6KUX, CTC-10, 6JE6, 6BK4, GR-54, 74LS04, 74LS181, WANG360, MODEL 15, FTdx560, TA-33, GD-47, IBM360, HP2116, LSI-11, CDC6600, ASR33, 2N3904, 2N3905, HP21MX, 6800, 68HC11, 2732, 27512, 74LS174, DN420, DN3500, DN4500, DN5500, TMS320C25, XC4010, 8031, TMS320C40, DSP56000, DSP96000, 2N4401, FG-7, FP-T7UAP, TK-140U, AR-15, 7904, 2N, 580B, 580C, WANG370, WANG380, TD-6, H-20S, SX-42, SX-28, 807, 1625, SCHI405...its just all too fun. pending ;-) My first experience with the 1401 was likely seeing it in Dr. Strangelove with my father in the late 2000's. My first computing experience was in 2012 writing text games in Python. After taking a course in data structures, I jumped into a computer engineering degree and started a habit of taking apart old computers and radios in my school's HAM radio club. I moved out to the bay area in 2017 to find work on self-driving cars, and I visited the Computer History Museum to see Waymo's old Firefly. I committed to seeing everything the museum had to offer, and after seeing a 1401 demo, asked to join the restoration team. I'm excited to understand the 1401's design and gain insight from the experiences of the rest of the team. I was first introduced to the IBM 1401 in 1968 while working part-time at the Pomona, CA IBM refurbishment facility. 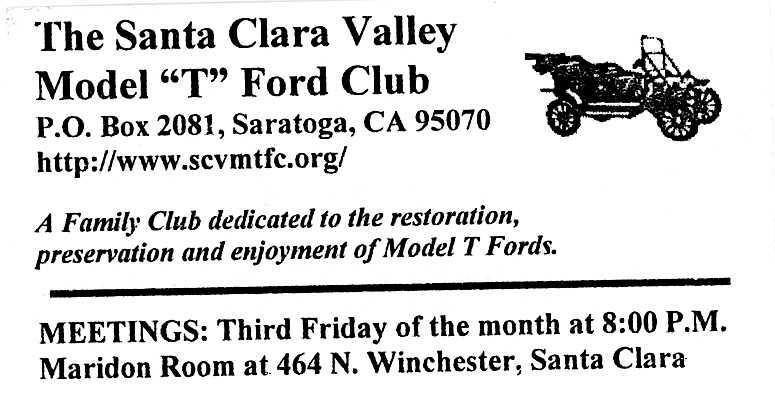 This was a part time job while I was attending Cal Poly in Pomona. I worked on Keypunches, verifiers, 1401 systems and 1440 systems. I am amazed how much I can remember after 37 years. 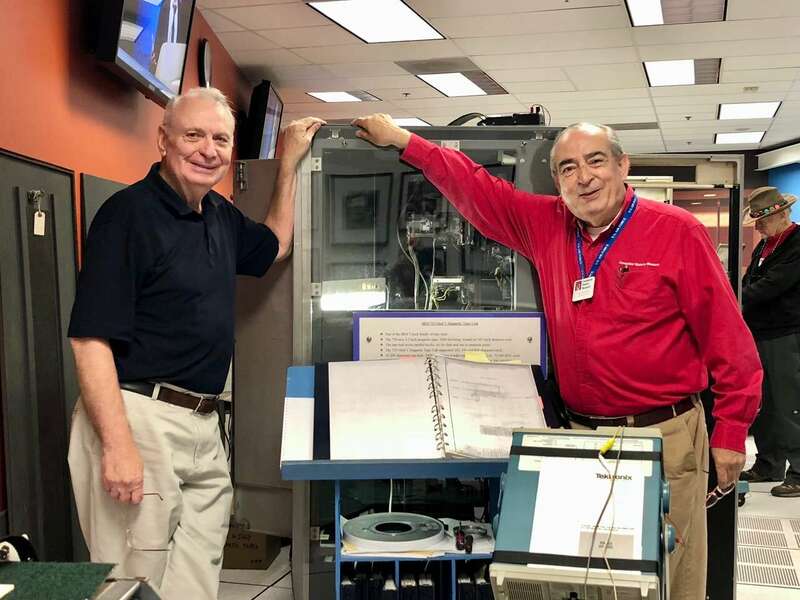 While I spent my career at Honeywell, GTE Government Systems and Lockheed writing software, the first machine I programmed was an IBM 1401 one instruction at a time. 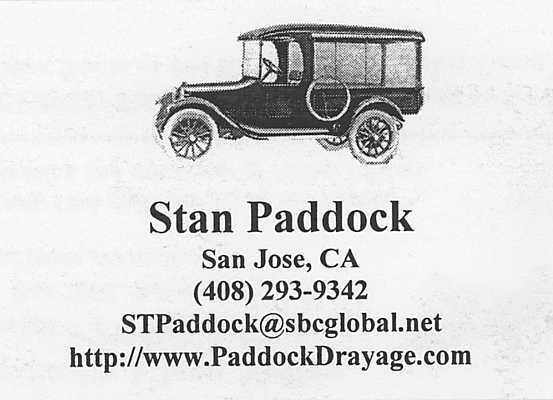 "My other car is a 1924 Dodge Brothers Screen Side Delivery Truck.? 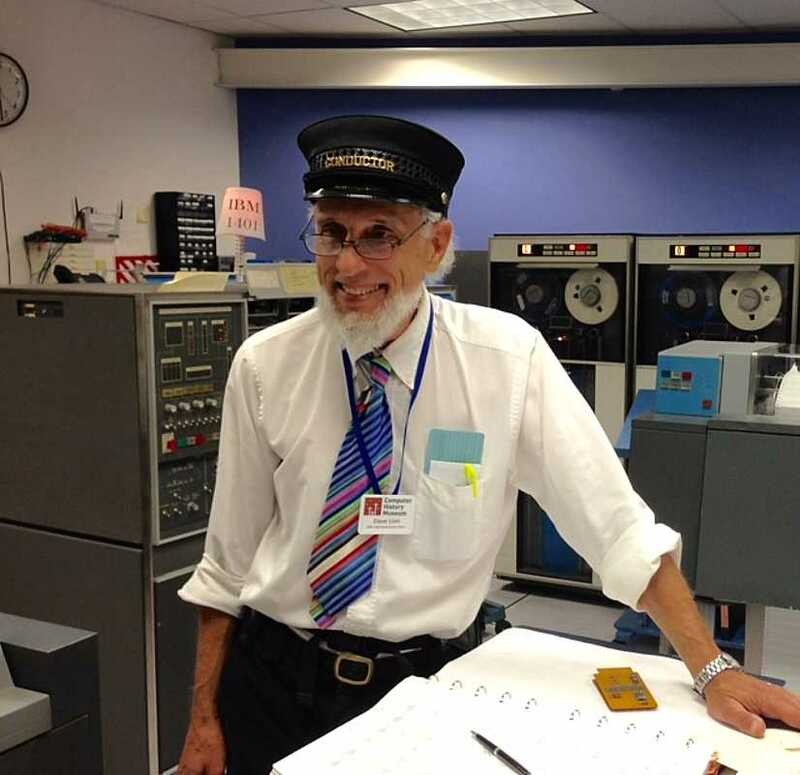 Started with IBM in 1959 in Poughkeepsie working in the 727/729 final test department. In 1961 transferred to the Milwaukee branch office & went to Rochester for basic hardware training. About 63 went to Rochester for both 1401 & later 1440 training. Worked on both for many years. About 1965/66 IBM wanted to see if hardware CE?s could be trained in software support & so off I went to Rochester (or was it Chicago ? not sure since it seems I was always going one place or the other for school). So I worked as both a 1401/1440 hardware CE & also as a PSR. I liked both machines, as long a one remembered to reinstall the plastic guard in the 1403 hydraulic drive unit. & never try to hand pick dirt & lint from the chain. Tape drives were one of my specialties since had sent 18 months working on them in the factory. Joined IBM in 1956 as a CE Customer Engineer in L. A. Downtown office. Trainer on and serviced most unit record equipment, including 604,607 & 650. If machine had a gray covers, we serviced it. 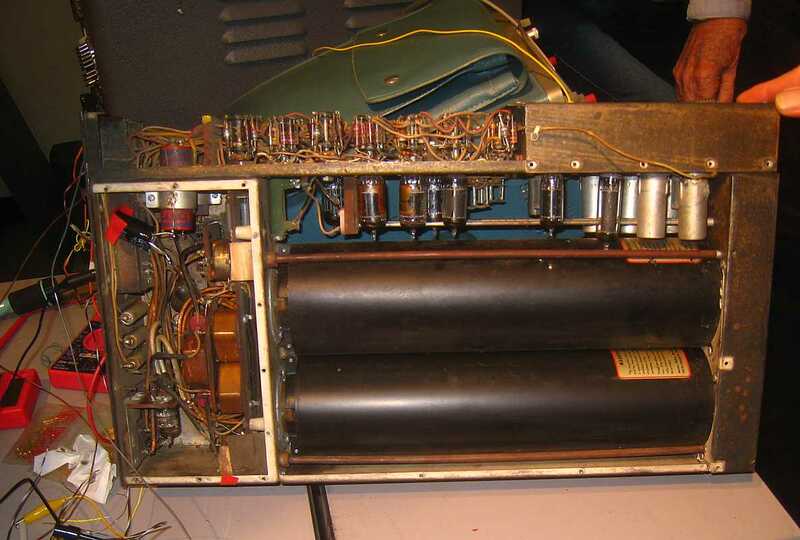 In 1960 became western region specialist on IBM's early transistorized computer 608. 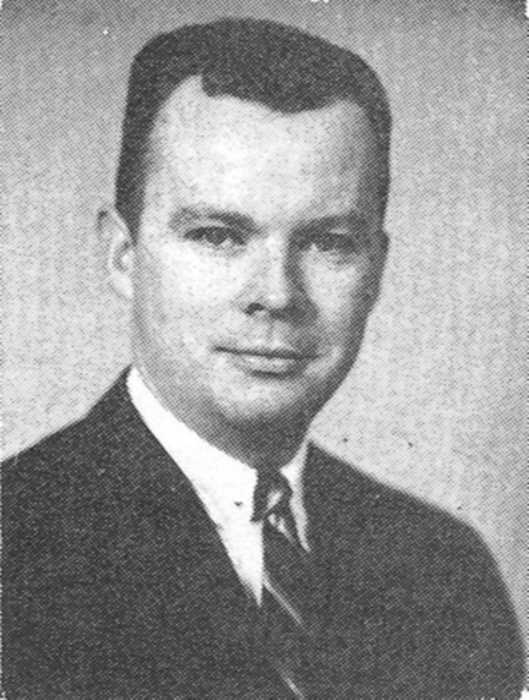 1961 trained on 7070 computer for Automobile Club of Southern Calif. 1965 received a BS degree from Calif. State College at LA. 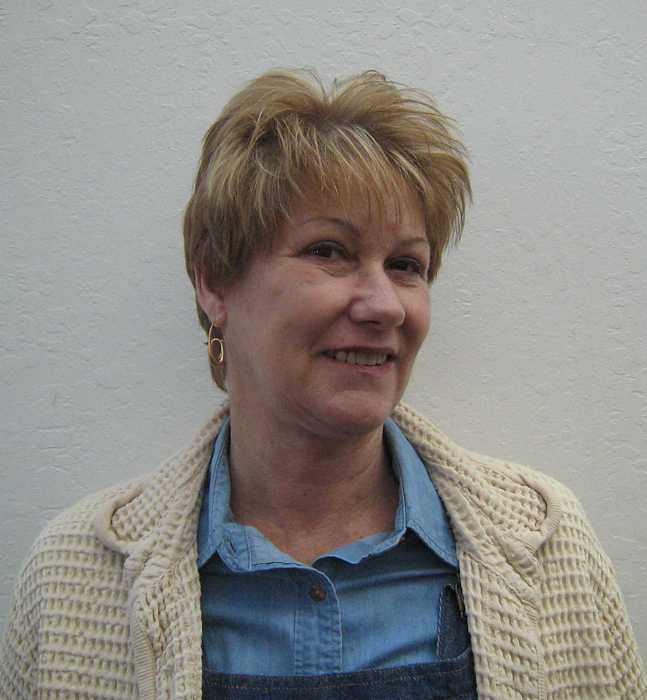 1965 trained on 360 mod 50 and was appointed account specialist for United Calif. Bank. 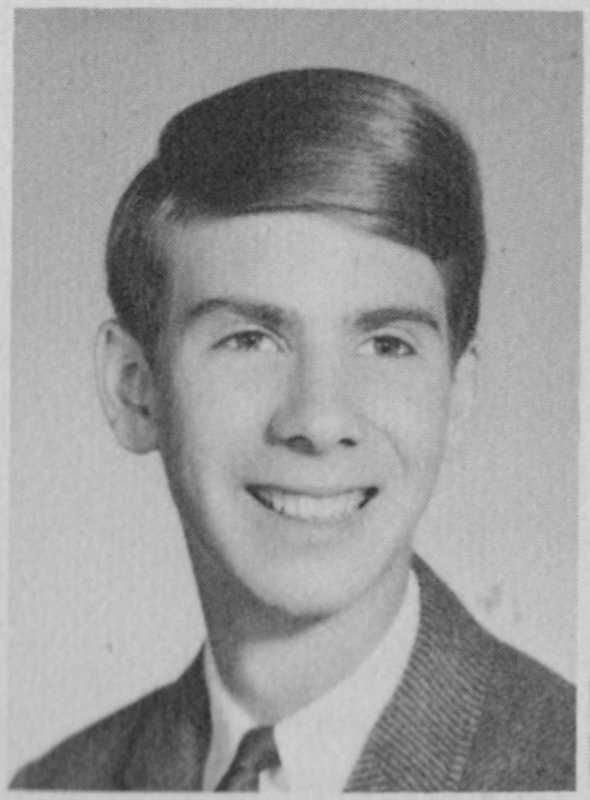 In 1968 took assignment as service planning rep. SPR for mod 50 in Poughkeepsie, NY. 1971 transferred to San Jose as an SPR on the 3305 fixed head file. 1977 transferred to software, worked on several products including CICS and change team for linkage editor. 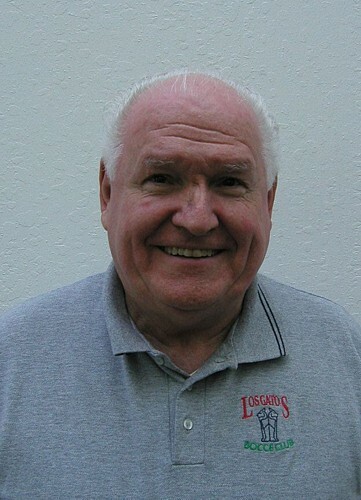 Retired in 1992. After retirement remodeled 4 houses from the ground up. Sort of a jack of all construction trades. 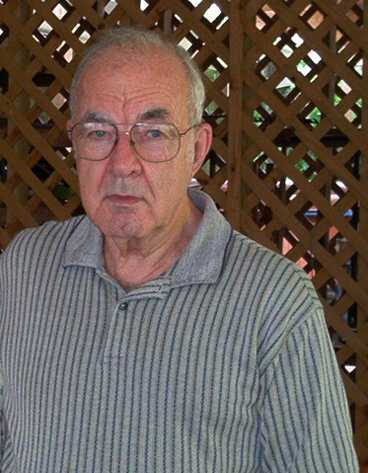 "Joe Preston died this morning at 03:00. He will certainly be missed. " 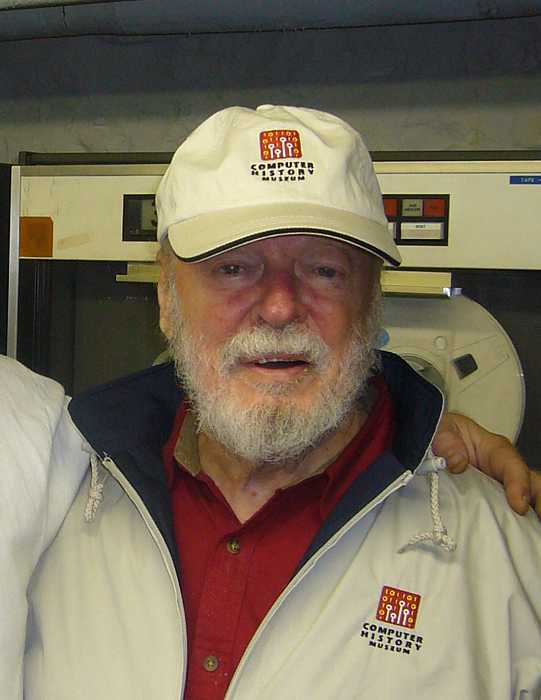 "Joe was my good friend and a colleague for over 40 years. 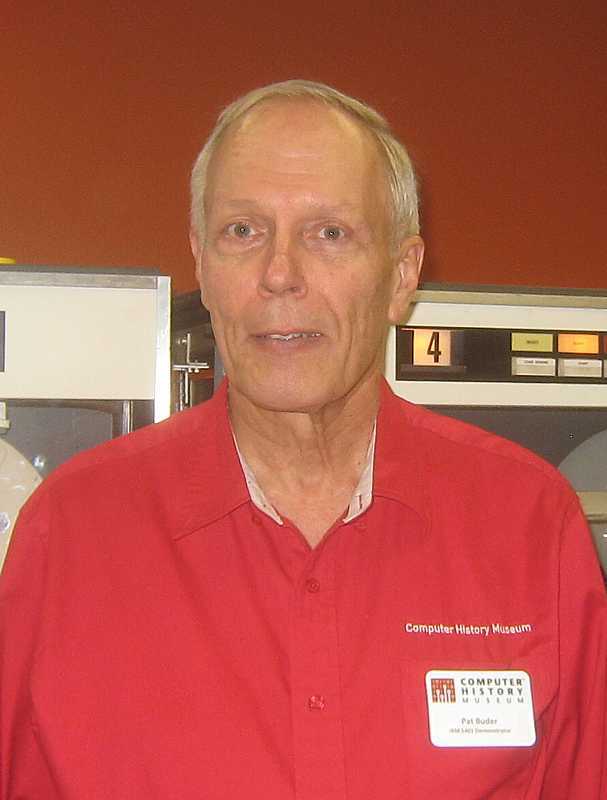 His talent helped put so many machines in working order for the CHM - it's hard to count them all." Chris has taught 1401 programming, and successfully ran an object deck she made a "few years ago" on "our" 1401. I have been a docent at CHM since 2004. I led tours in the current building through "Visible Storage" and then transitioned to "Revolution". I miss the Babbage machine that I presented for the 8 years it was at the CHM. I spent my career as a computer user, since my degree focused me on RF and microwave component engineering (yikes - an analog guy!) and then into sales and marketing. My first computer experience was designing a broadband microwave coupler on a GE time-share teletype terminal. I then worked at a company that was a microwave testing lab driven by an HP 2016 mini with 32K of core memory. I had a crash course in Fortran and designed custom programs for the testing of microwave devices and systems. On retirement I wanted to find out just how these amazing machines came to be, so now I can go backwards to present the 1401! 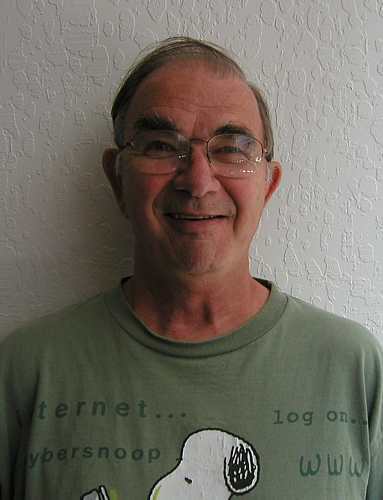 Ken first worked as a programmer on the IBM 1401 during the summer of 1962 after completing his freshman year at MIT. Subsequently, he did various programming projects on the 1401 in numerous capacities for the next 3 or 4 years. 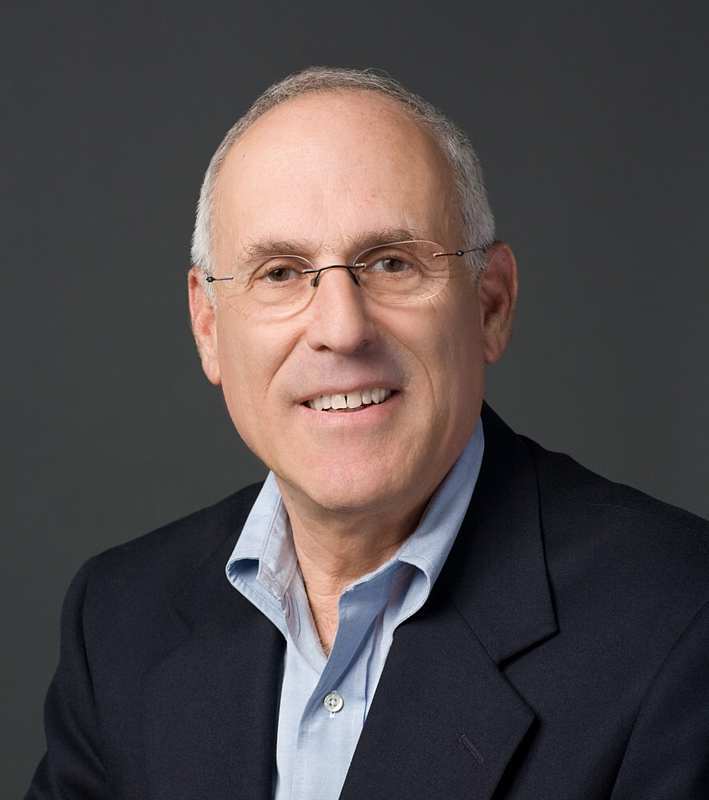 Currently, Ken works closely with startup software companies as an Advisor, Board Member, CEO Coach and angel investor. Some representative companies include mscripts, Adaptive Insights, Electric Cloud, and Reciprocity. 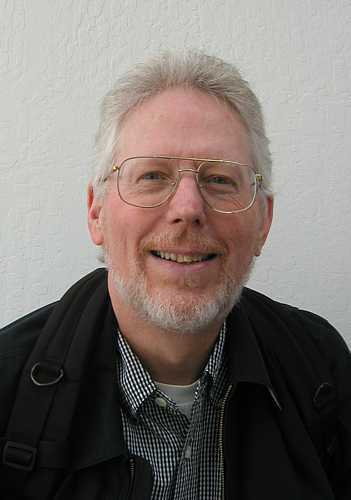 Ken was the founder and CEO of ExpertCEO (2008), Seriosity (2006), Extricity (1996), Pillar (1991), Documentum (1990) and Ross Systems (1972). Ken was also a General Partner at RRE Ventures, where he headed the firm's Silicon Valley office. Ken received his B.S. from the Massachusetts Institute of Technology - 1965, and his MBA from Stanford University - 1967. I operated a 1401 of exactly the same configuration in the summer of 1966 (between my BS and MS degrees) at Westinghouse Telecomputer Center in Pittsburgh. We (3 shifts x 4 days) read to tape more than 3,000,000 cards over the long July 4th weekend. One read check!! I'm not an ex-IBMer, my career was with DEC and Adaptec (CEO), and I've been involved, with the CHM and its antecedents for 25 years, now as a Trustee. Grant now lives in the Seattle, WA area. 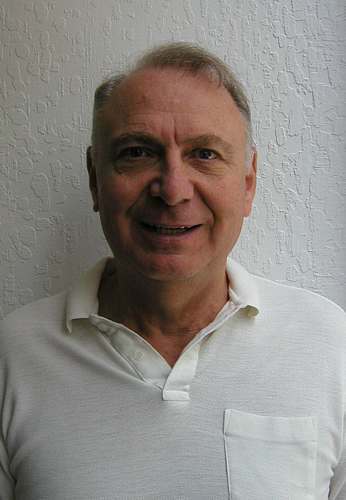 (Deceased) - I have worked for the IBM - Deutschland Company from 1954 to 1974 as Customer Engineer. The education for this was on 404/405/407/420/421 alpha tabulators, 602 mechanical calculator, 604 electronic calculator (tubes), 305 RAMAC (tubes), 1401/1405 DP-Systems, 1620 DP-System. I have worked in hotel industry in Switzerland for a couple of years and I know the computers and microsoft operating systems better as a user since my job as supervisor at a Vodafone call center and customer service center for trade fair companies in Germany. My first encounter with a 1401 was to write an Autocoder program to read cards to tape as part of a research project at the University of Michigan. Later I would take orders for 1401 G models to act as very smart RJE stations in a Supermarket chain that had all it's warehouses on-line to its headquarters before the 70's started. The 1401's ran three shifts compressing store order information to go to the headquarters and decompressing picking documents and case picking labels for the warehouse over the fastest lines at the time, 2400 baud. When we finally got to 4800 baud it was a real break through. I had eleven years with IBM centered on the 1970s and was fortunate to have participated in a lot of change. It's unbelievable to go back and revisit it now, put our hands on the same iron that was so advanced back then. 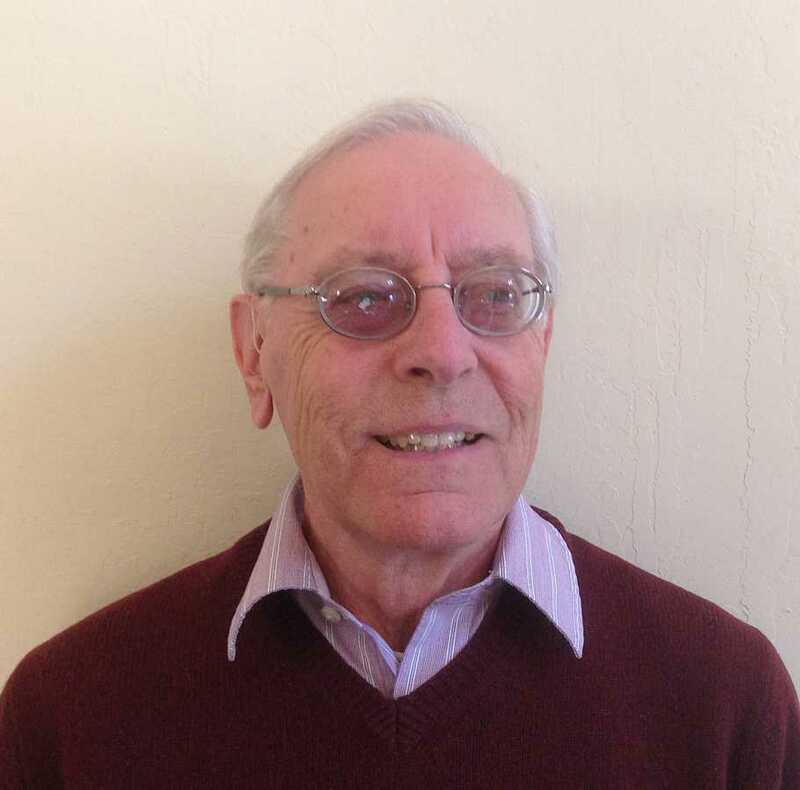 Luca Severini likes the bay area weather even better than his native Rome, not so humid. 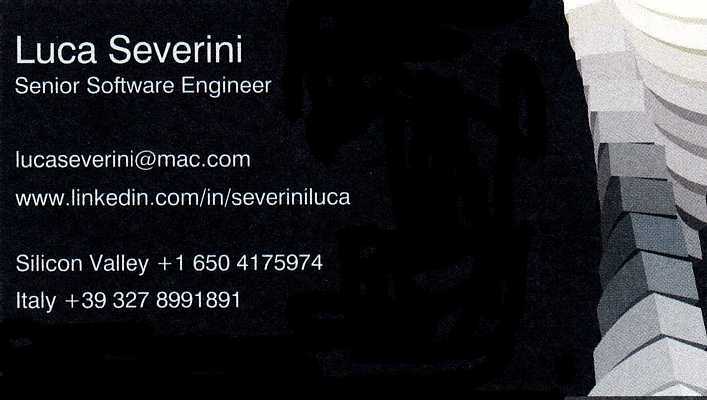 He has worked in software in Italy and Munich, Germany. 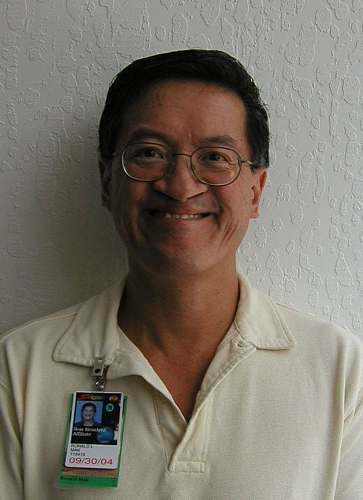 Now he is studying computer science at San Jose State - One of is professors is Ron Mak, who introduced Luca to ROPE (Ron's Own Programming Environment). Now Luca is maintenaning and enhancing ROPE. He has a ported it to the Mac and looking for suggestions. He is in contact with Van Snyder and thinking of making a version of ROPE which edits, compiles, runs Fortran on the simulated 1401. I started programming using Fortran on punch cards in the 1970s. 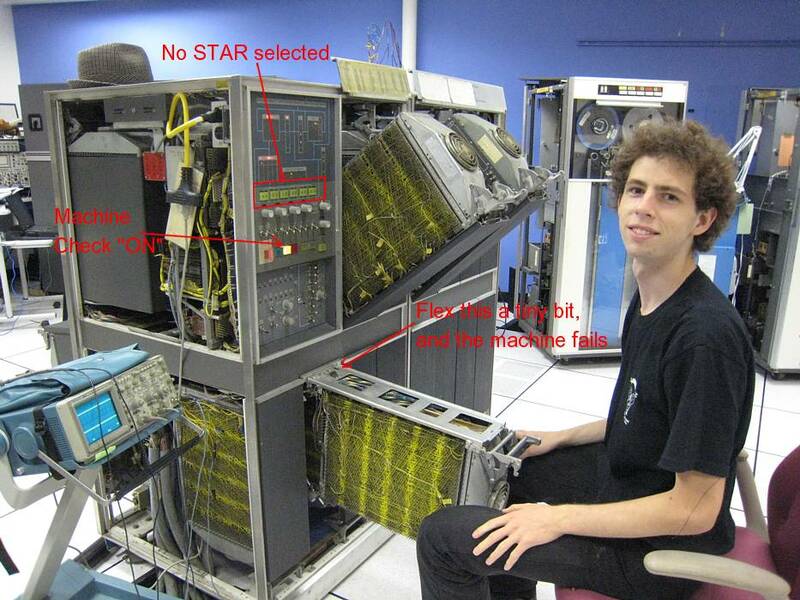 I've used the IBM 1401 to generate fractals and mine bitcoins, see a few demo programs. I was formerly a software engineer at Google, working on Android, the Google Search Appliance, Location, and other projects. On my blog http://righto.com, I discuss restoration of an old Xerox Alto, explain old microprocessors at the silicon level, tear apart chargers, and other random stuff. Robert Garner says "You're way too modest! You're one of the best technical expository writers I've read. ;-))" Ed Thelen seconds the motion. Carried by acclamation !! My first machine was the Bendix G-15, which was used in a summer class. After that, I bummed 1620 time at Cal State LA. My first job after college was operating 084, 088, 514, 519, ... for Reynolds and Reynolds Company in North Hollywood, CA. Soon I was operating a 16k 1401 with one 7330 -- a really slow tape drive. 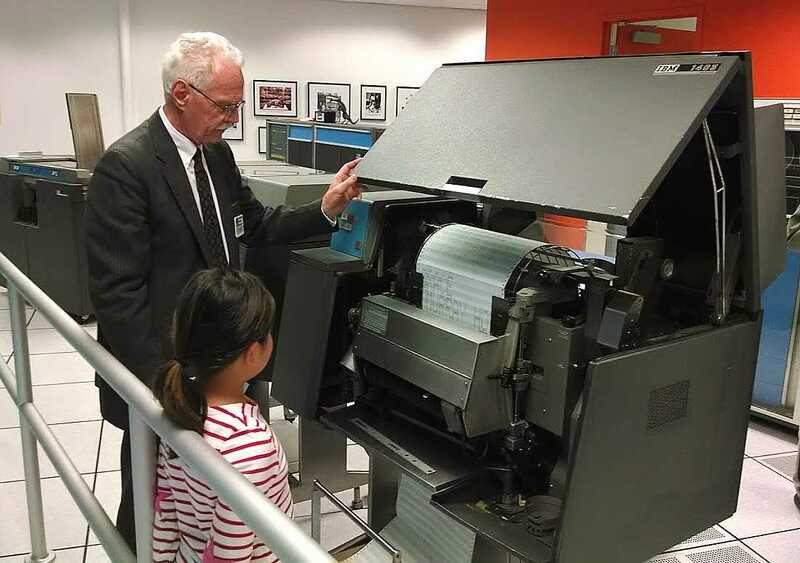 It also had a piano-size gadget by NCR that scanned OCR characters from paper tapes about 3 inches wide. 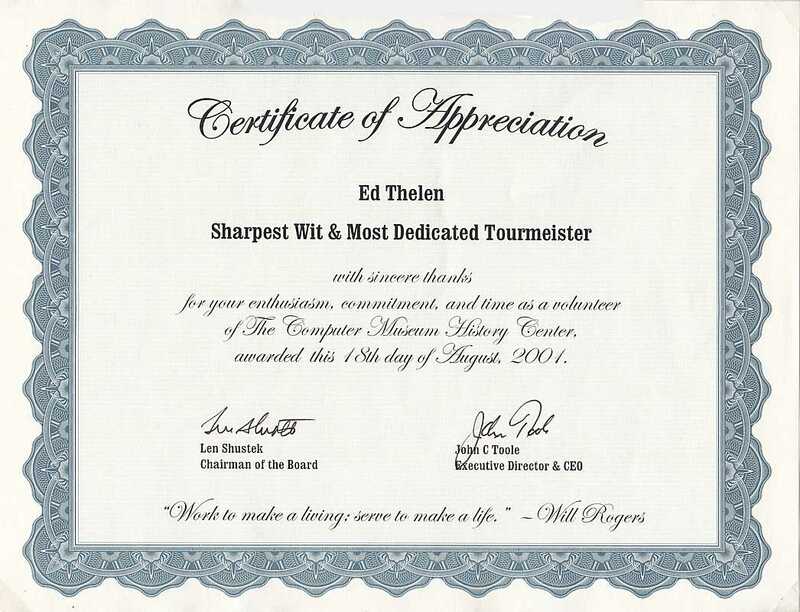 I wrote a few dinky programs for the center manager in SPS, so he sent me to company headquarters in Dayton, OH, where I started programming in Autocoder. We had all three of the reader, printer and punch running full speed using overlap and double buffering, which we were later told was impossible to do. When we started using COBOL I modified the compiler to emit the COBOL code into the output Autocoder as comments, to facilitate debugging. I worked in Dayton ten hours per day, every day for eleven months. My wife got burned out on that, so we moved back to California in 1967 and I began work at JPL, where I've been ever since. I used the 7094 and then Univac 1108 until they put a PC on my desk in 1984. I never used a 1401 after 1967, but I still remember how to program it in machine language or Autocoder. My first experience with a computer other than a programmable pocket calculator was in 1976 with a Burroughs B500 at my high school. This was similar to the IBM 1401 in that it was a discrete transistor CPU with magnetic core memory and tape drives with vacuum columns that made that very special sound when they loaded. I?ll occasionally admit to programming the system in COBOL. During high school I took some programming classes at the local junior college. The LA community college system had a central IBM 370/158 that was accessible from the various campuses. I wrote FORTRAN programs using punched cards that were processed in batch mode and APL programs that were run interactively on Selectric terminals using the special APL character set ?golf balls?. We also had video terminals hooked up to TSO that were available for BASIC programming . At the high school we obtained some surplus JOSS terminals, which were also Selectric based. I had the job of removing most of the logic cards and redoing the backplane wirewrap (which appears to be the same type as the backplanes on the 1401) to accommodate microcomputer cards that interfaced to the driver cards that drove the Selectric?s solenoids. My final connection to IBM is that I currently own an airplane, a 1977 Piper Super Cub, which was originally owned by Thomas Watson, Jr.
Jim, as an IBM 1401 era business representative In April of 1964, IBM announced System /360. 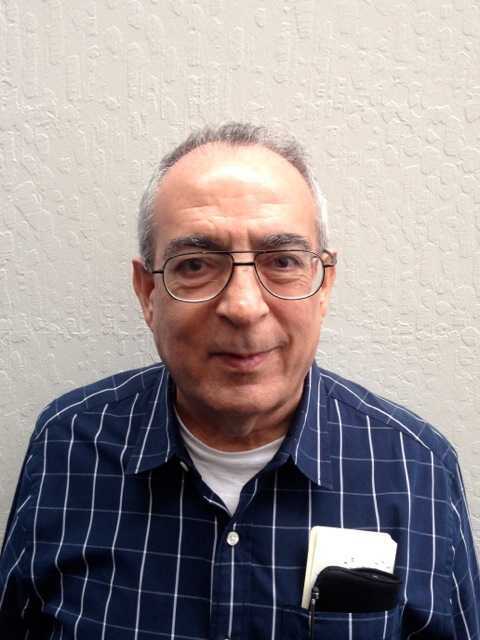 I joined IBM in June of 1964, as an SE (Systems Engineering) Trainee. 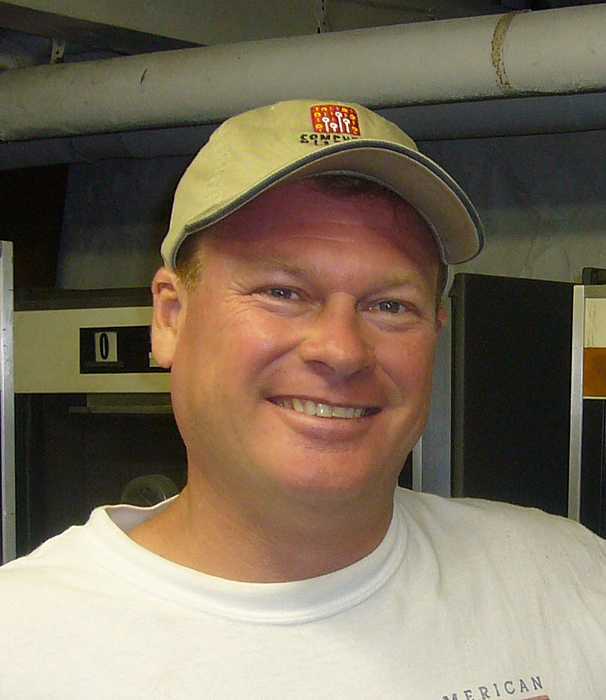 SE's were the technical arm of the sales division and were charged with helping customers make the new systems do what they were bought to do. Because /360's were not available at that time, my first "IBM Schools" were on unit record (a.k.a. punched card) equipment and the newly announced 1440 computer. So my first useful work was to help a customer write and de-bug 1401 programs for L.S. Ayres department store in Indianapolis, Indiana. Later I did stints as an instructor, SE Manager and salesman. 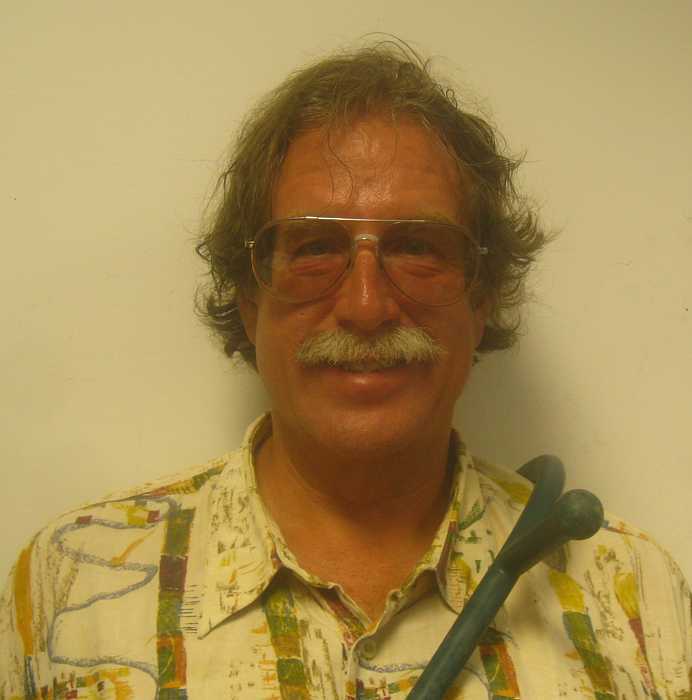 Then in 1978, I came west to the (then) Santa Teresa lab where I worked on main frame software. I was on the team that took IBM's System R from research through development and was planning manger for DB2, (Data Base 2, the production model of relational data base) when it was announced in 1982. Later I worked for IBM Japan in bringing Kanji (Japan's version of the Chinese ideographic characters) support into IBM's mainframe software. Now retired, I play the banjo and with my wife, Bea, am active in Marriage Enrichment. 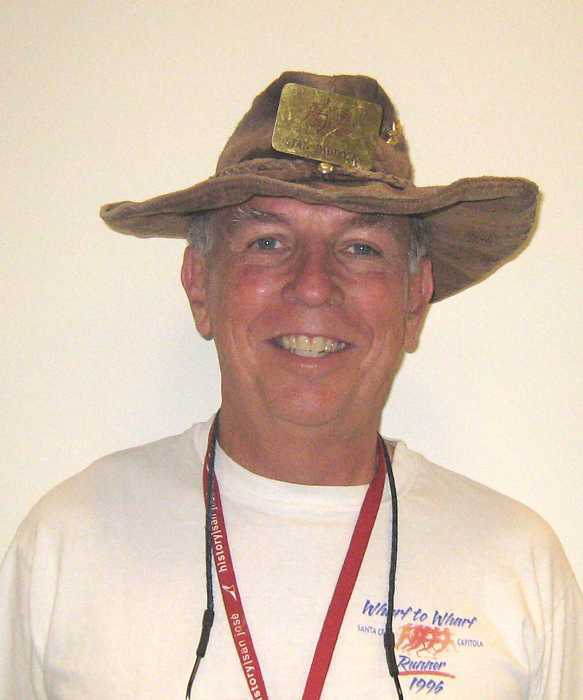 Ed Thelen here - Don't let this guy fool you. He says that he can take something apart and put it together again, and it works! And having watched him work, I believe it!! Docent late 1990s I'm an ex-competitor. but I *really* want to be on this team! In 1961, I was a Field Engineer (fixer) for the General Electric Computer Division, servicing the GE-225 at Air Products & Chemicals, in Trexlertown, PA. We did the scientific work and the IBM 1401 downstairs did the accounting work. The scientific manager was trying to take over the work of the IBM shop, and there was no love lost! We got to take over the invoicing run by the time I left that site a year later. Next site had the G.E. version of an upgraded RAMAC. Then to HQ in Phoenix to do diagnostic and system programming. I learned the value of well engineered, reliable peripherals, which G.E. did not have. !!! 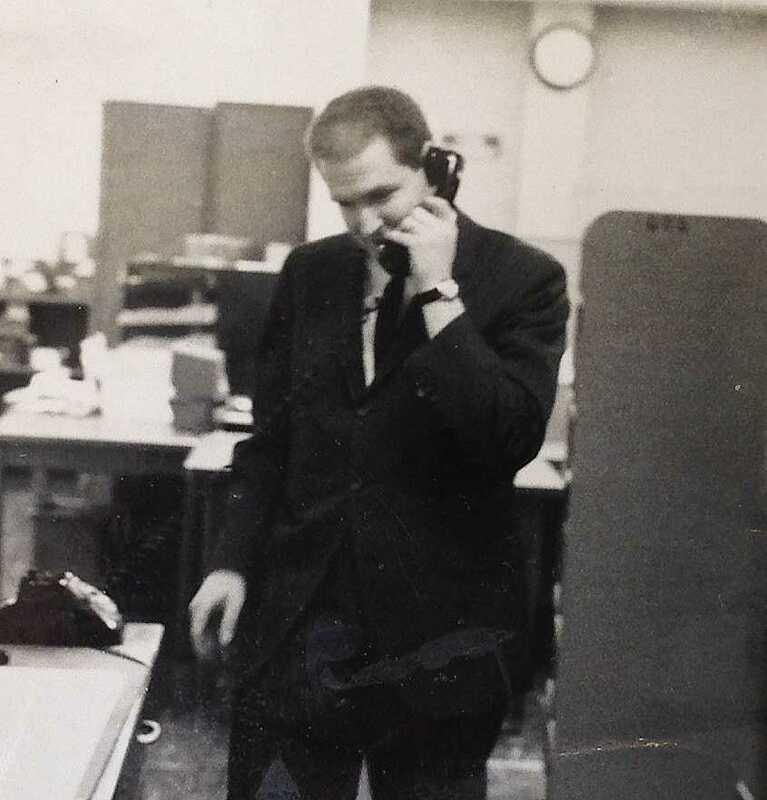 In 1965 I joined IBM Advanced System Development at Mohansic Labs, in Yorktown Heights. The TSS effort was great, but wife got lonesome for Minnesota, so I went to work for Control Data. I was a Customer Engineer in the IBM San Jose Branch Office which at that time was located on The Alameda near highway 17. I attended one of the very first 1401 training classes in Rochester Minnesota in the early 60's . This was in preparation for a 1401 installation at Sunsweet Growers. If I remember correctly it was the first 1401 installed in San Jose. The system was fairly large with a dual access 1405 Disk Storage and one tape drive. The next 1401 installation was at FMC "Food Machinery Corp. " This was my account also and replaced three IBM 407 tab machines, three 519's and a 604. With only one 1403 printer this became a very stressed environment. The system had a 1406 Storage Unit, 729 tape drives and 2311 Disk Drives. 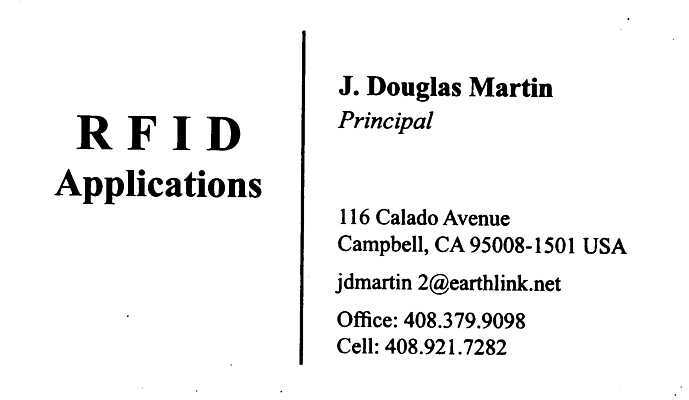 Around the same time, The Santa Clara County controller moved to a location on Hedding and installed a 1401 system. Which became my account too. I remember the numerous growing pains these accounts went thru with the conversions from tab machines to a computer and the long hours and callouts I endured. Toptygin, Alexey - alexey.toptygin at gmail dot com (H) ??? ???-??? I'm a software engineer by trade; I started out in scientific computing at school, then worked on cellular networking, security, email, and lately I've been working on compiler/language runtime development. Almost all of this has been on some flavor of UNIX. I got into vintage computing while still in school: a friend of mine bought a decommissioned transputer-based supercomputer from the university surplus store for $75 and wouldn't let anyone else play with it. Out of jealousy, I started looking for other old hardware I could tinker with myself :-) I ended up with a collection of mostly 80s micros and 90s UNIX workstations, with a bit of transputer hardware. I connected with other vintage enthusiasts on the east coast through MARCH (now VCFed) and started attending VCF East events every year. I ended up helping MARCH acquire donations a few times, so when I moved to the west coast I reached out about volunteering at CHM. Verdiell,Marc - marc dot verdiell at gmail dot com (H) ??? ???-??? I have been involved with high speed optical fiber interconnects through my career. I have a Ph.D. in Optoelectronics from University of Paris. 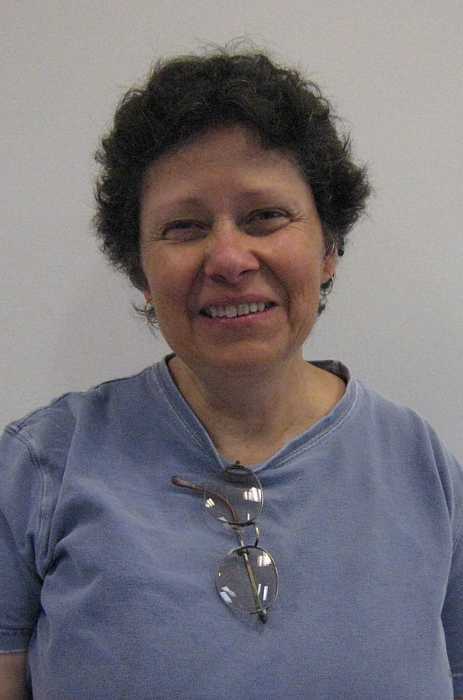 I started with research at the Bell Laboratories in Holmdel, NJ, joined the startup SDL (a joint venture between Xerox and Spectra-Physics) in the valley in 1994. Then founded a series of startups, always in high-speed fiber optics: first telecom, then datacom, now computer interconnects. One of them (LightLogic) was acquired by Intel. I became an Intel Fellow in 2002. 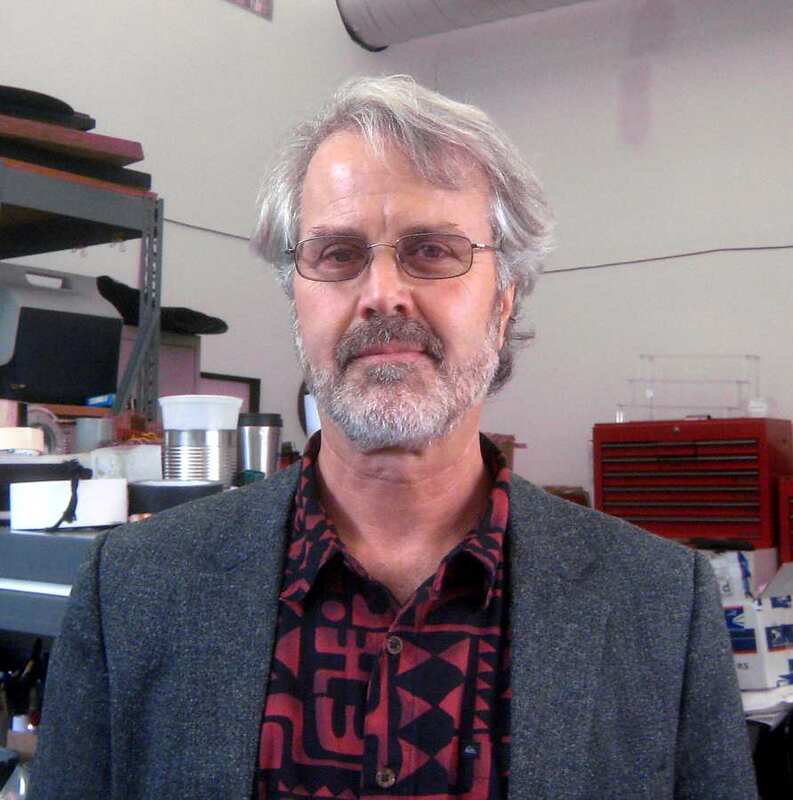 I am currently CTO of Samtec's Optical Division, who acquired my latest startup. We me make optical links for supercomputers. Computer and electronics and programming have always fascinated me. My first encounter with a computer as a child was with an Apple II on which I learned basic, and an early 8-bit microprocessor kit on which I learned assembly by punching hexadecimal code. I have been building electro-mechanical things for as long as I can remember. I have a mill and a lathe and an electronic lab in my basement. Latest project include building a full size R2-D2 replica. Latest computer restoration is a Mac SE/30. Time to do bigger computers. I started with the IBM Service Bureau, about 1959. Operated, wired 407s, programmed 650, 1401. Conscripted into the Army, assigned to Washington DC (Headquarters Company, United States Army -- how's that for an Army unit! ), programmed 1401. Moonlighted, worked for National Academy of Sciences, National Capital Planning & Parks, and a few others - all 1401. After Army, went to IBM Federal Systems in Bethedsa, more 1401. About 1967 went to Armonk, 360. I was in the systems test department in San Jose in early 60?s, responsible for 1401 and I/O testing. The systems came in from the factory at Endicott and Mechanicsburg, NY. Became an expert in the 1403. Also worked on 360 model 20 system bring up and test. 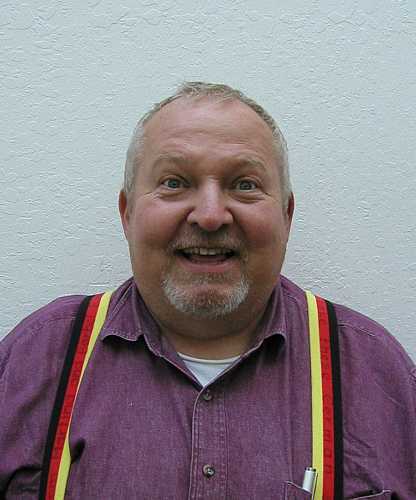 Died December 30, 2018 - We will miss his technical expertise and lively personality. Robert Garner writes "I'm saddened and brokenhearted for the loss of our friend and companion in our special journey during the past 15 years." 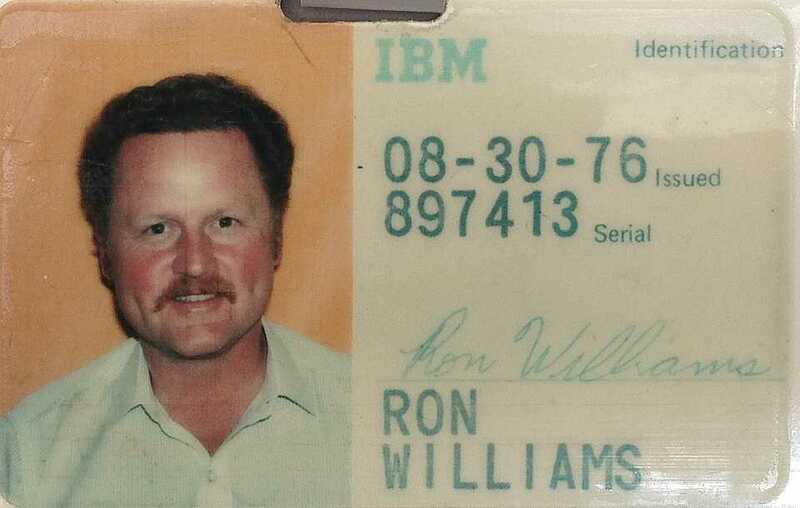 "Ron Williams doesn't believe in e-mail. The 1401 didn't support it, so he doesn't need it." I have a couple of 1401 programs sitting in my garage. One was designed to be a 1401 Autocoder to System/360 assembler language translator "ASALT". However, it requires disk storage to execute. I've also come across a complete(?) set of 1401 users manuals which may be of use with the project. Please let me know how I can help! !